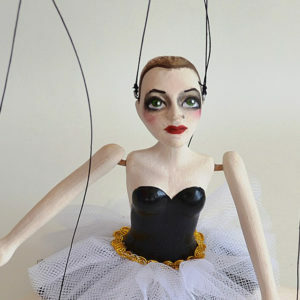 A marionette is a real friend who never objects and acts according to your wishes. 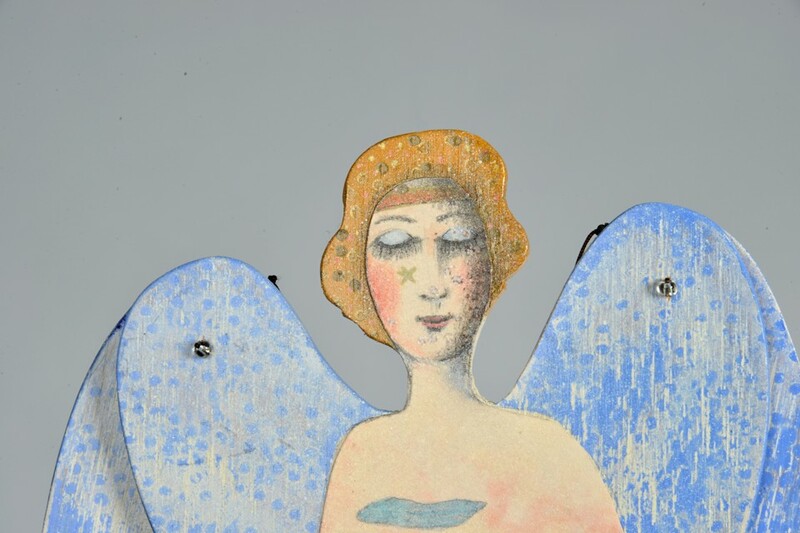 It can be a silent friend who listens to your ideas. 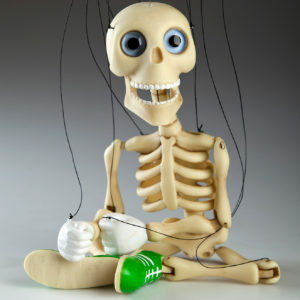 It can make you company at any moment of your life. 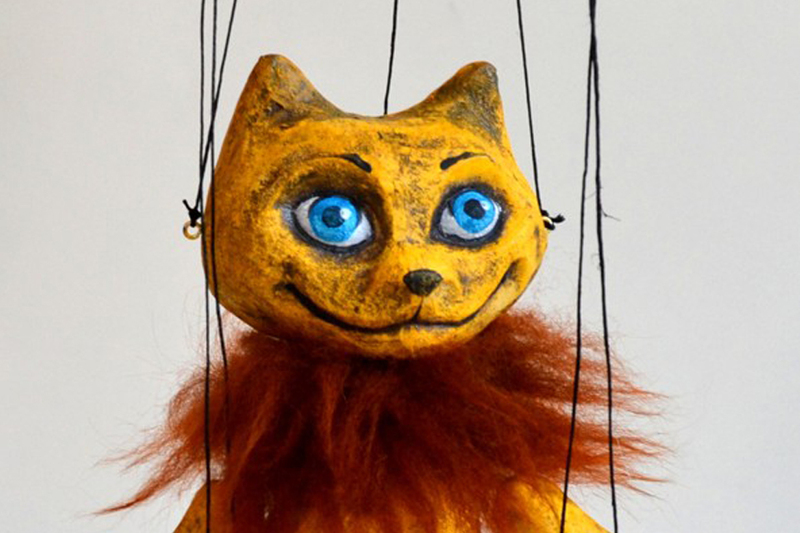 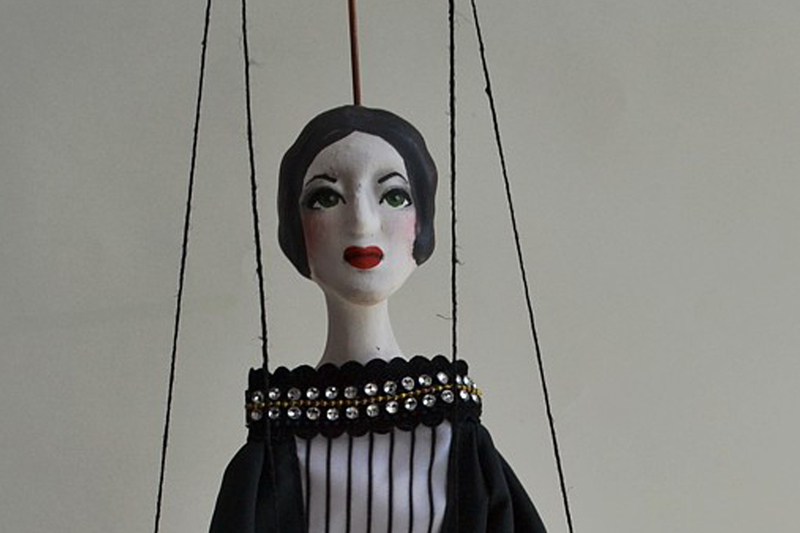 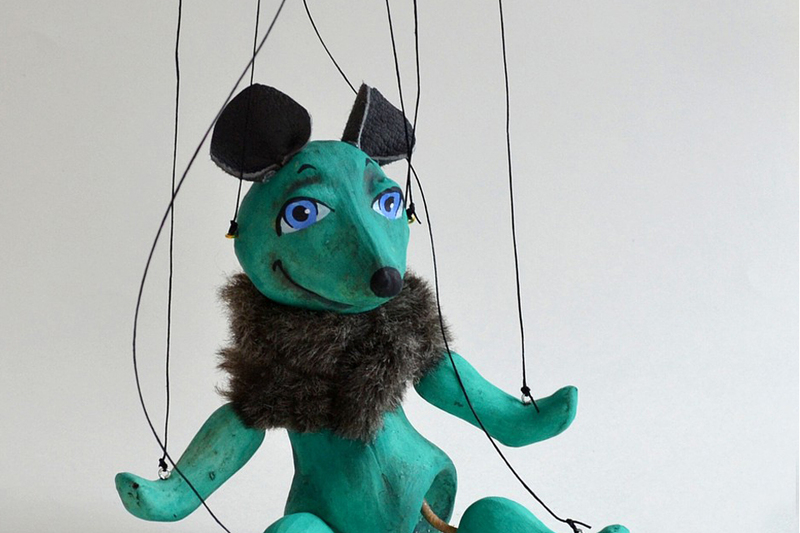 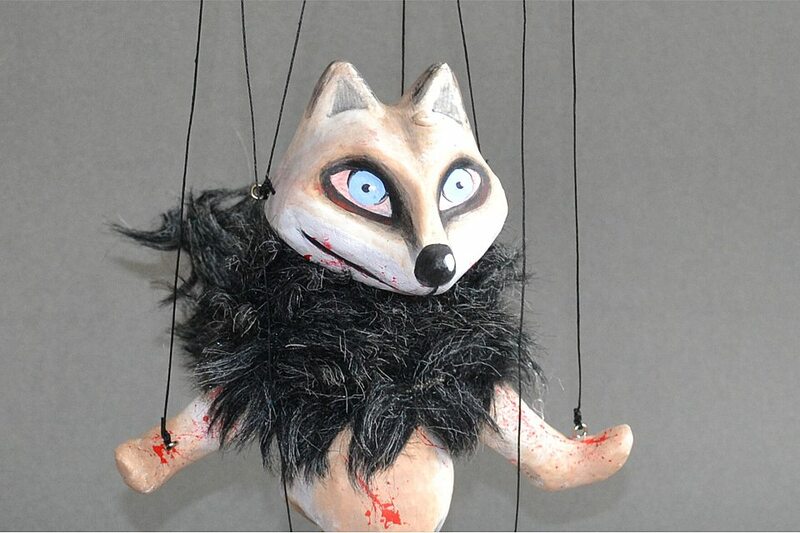 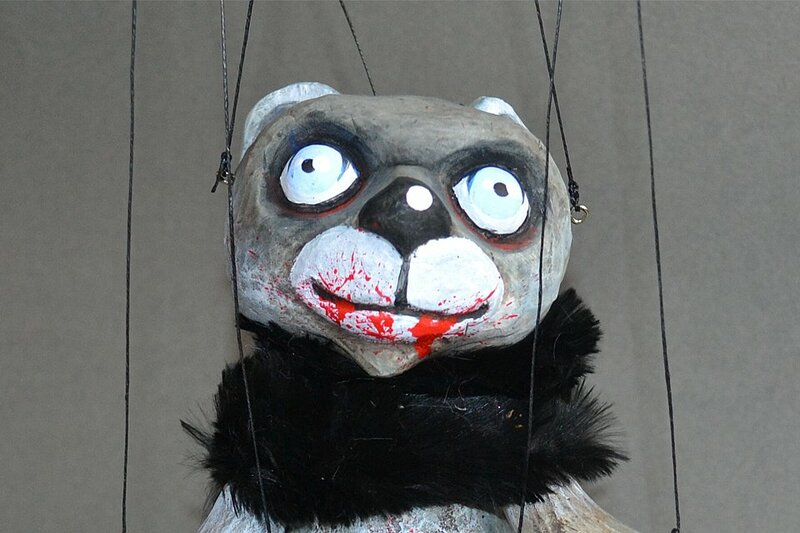 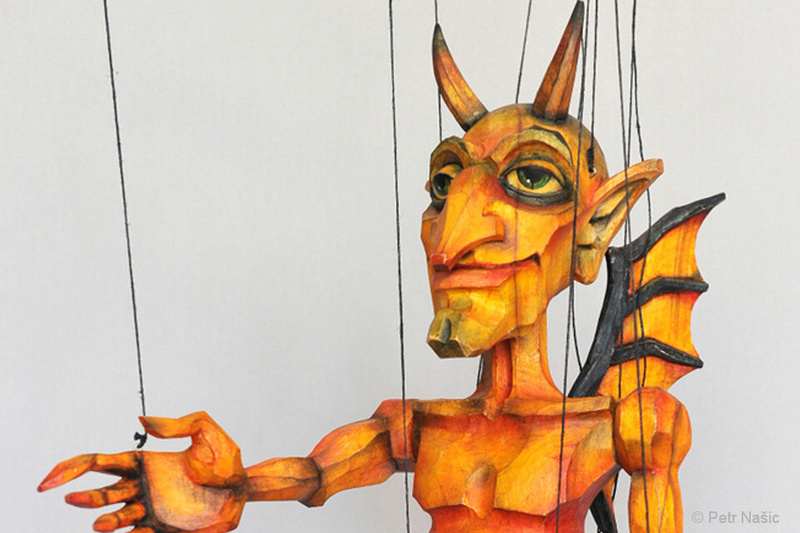 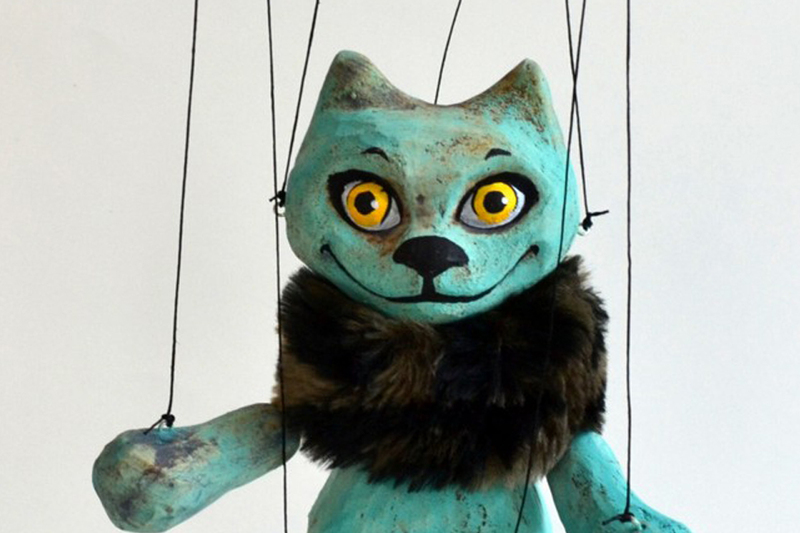 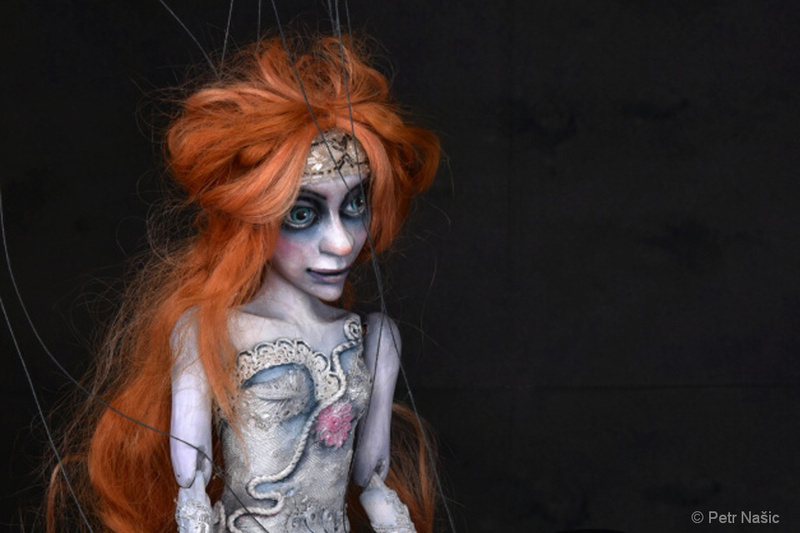 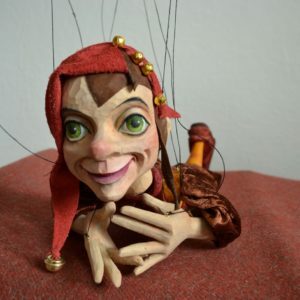 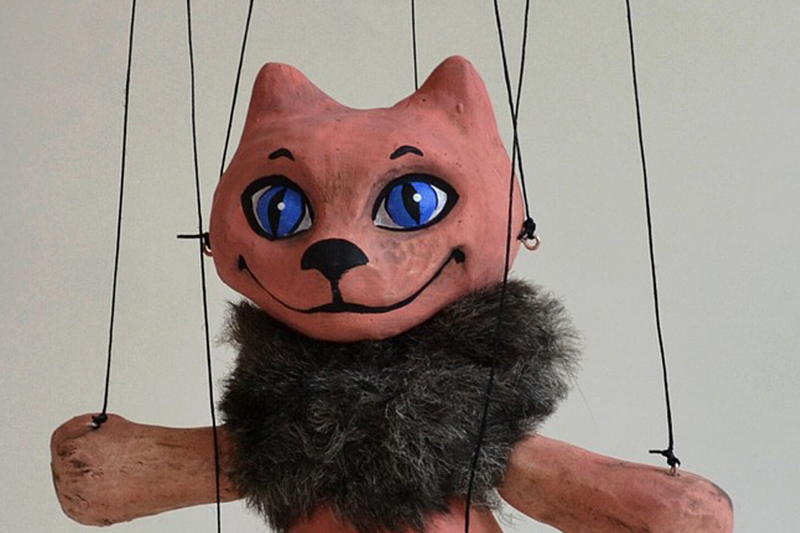 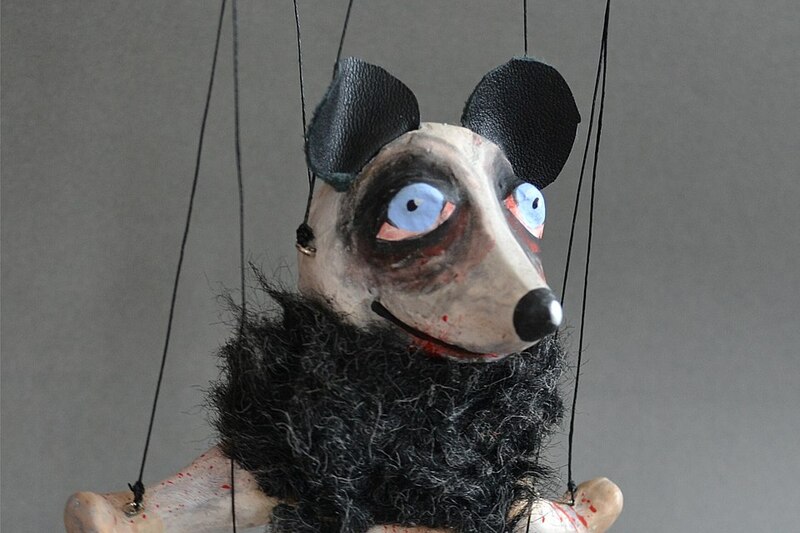 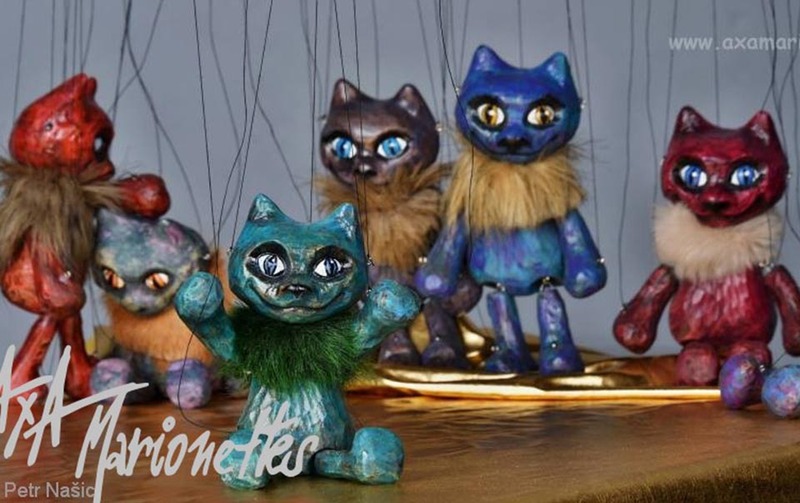 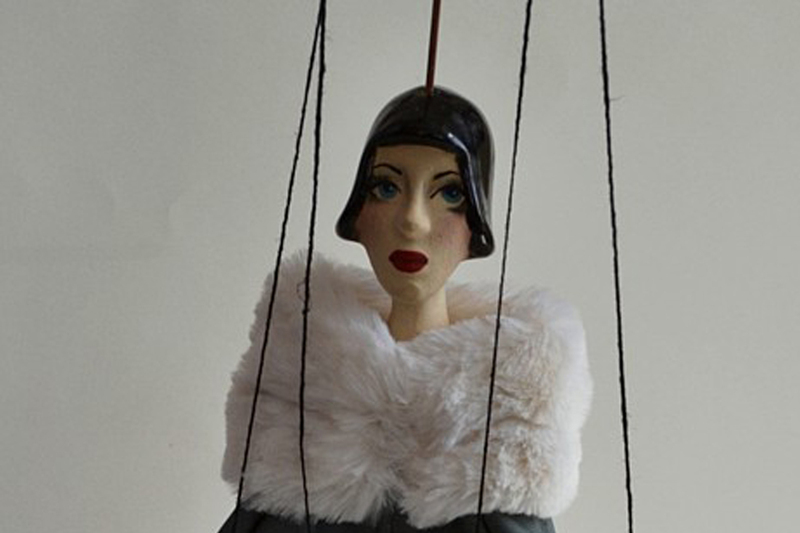 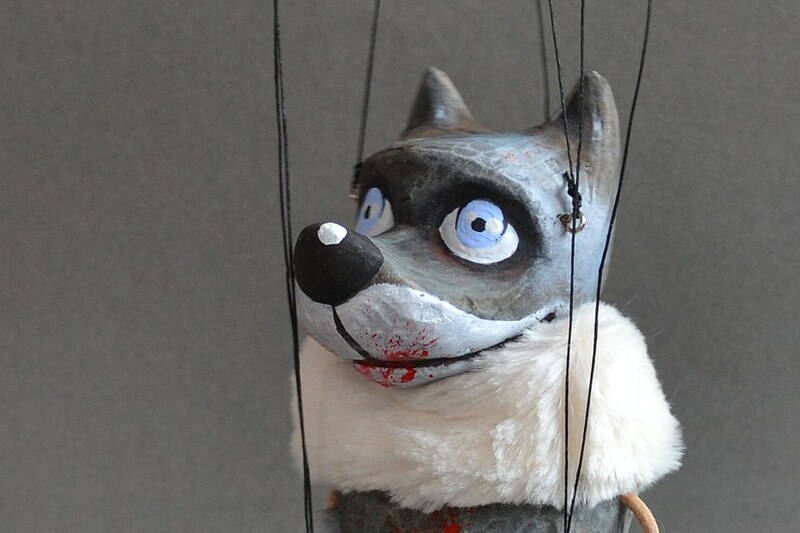 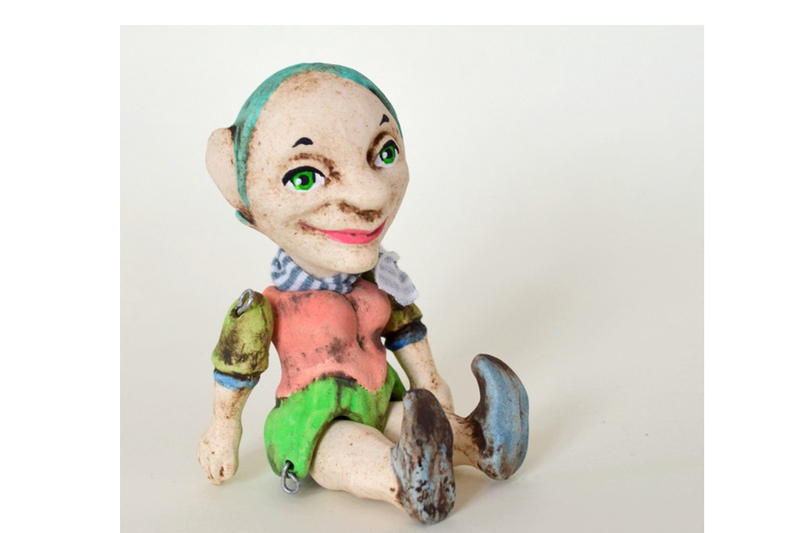 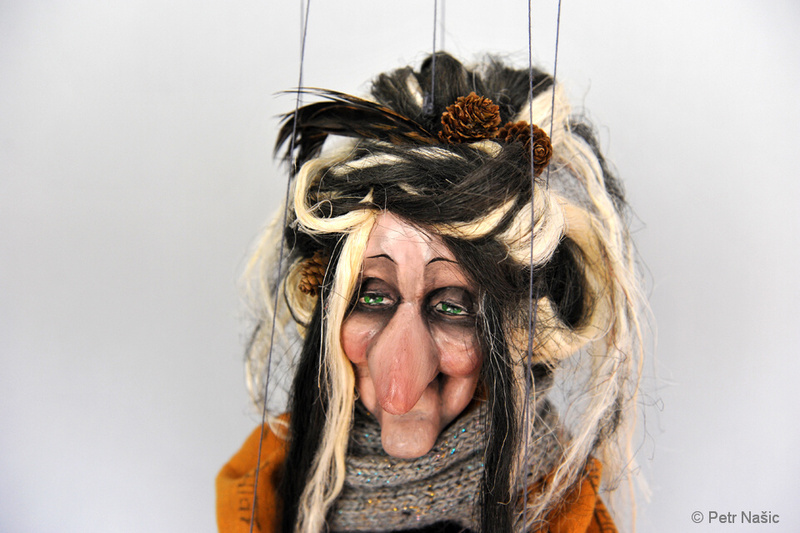 Welcome to the world of original marionettes and puppets. 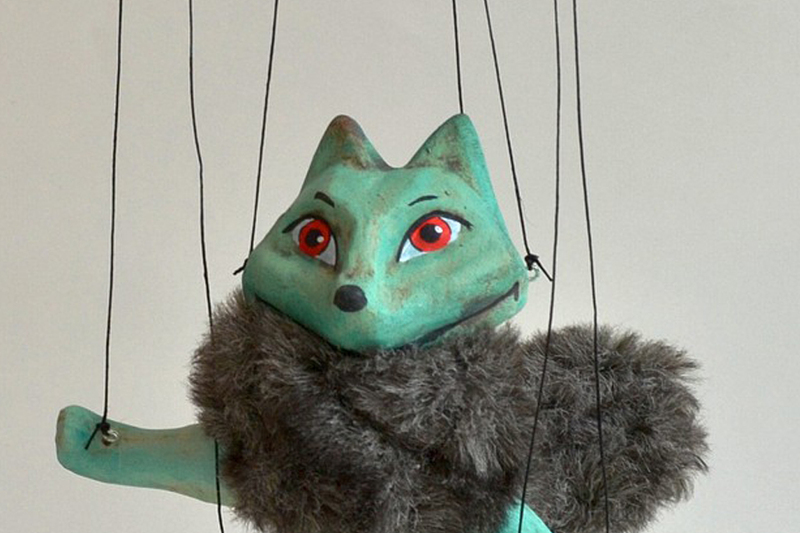 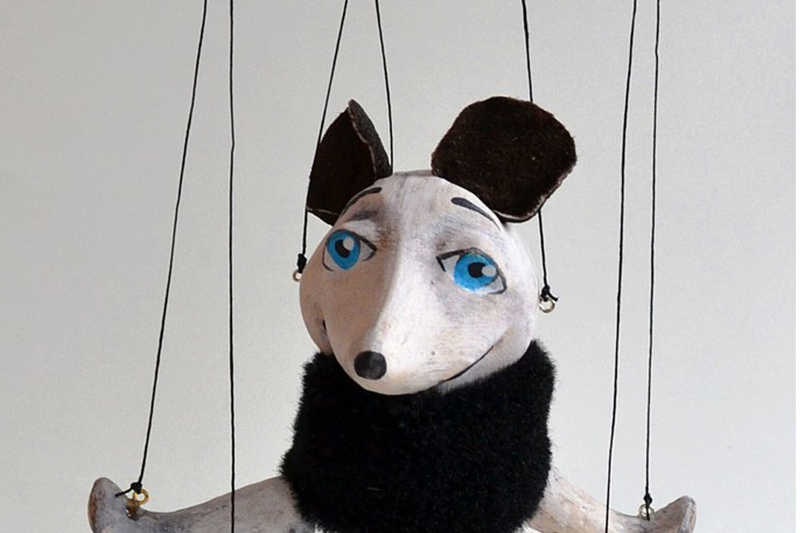 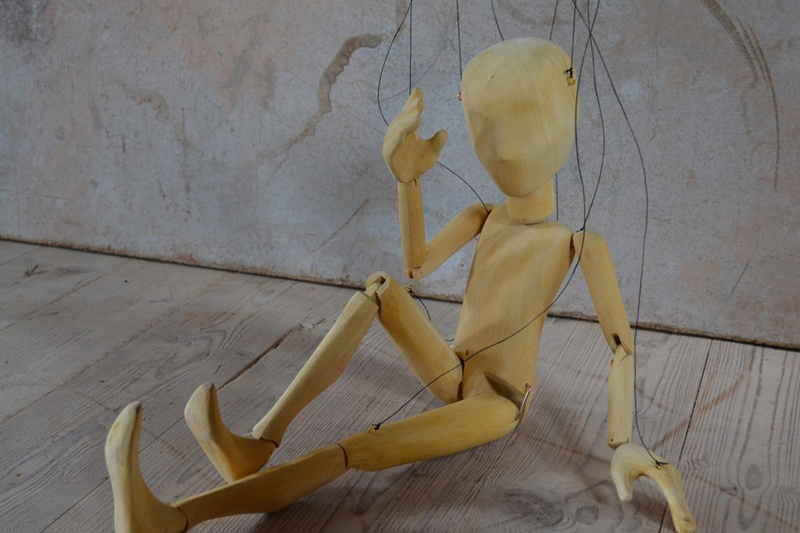 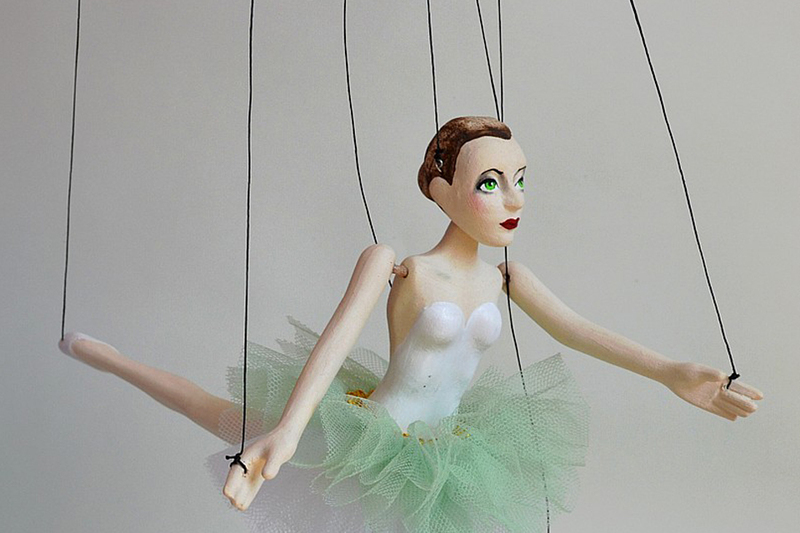 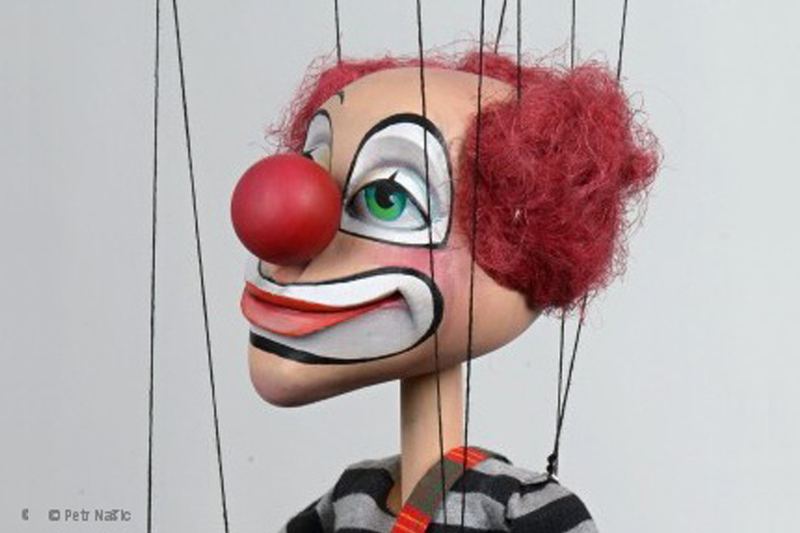 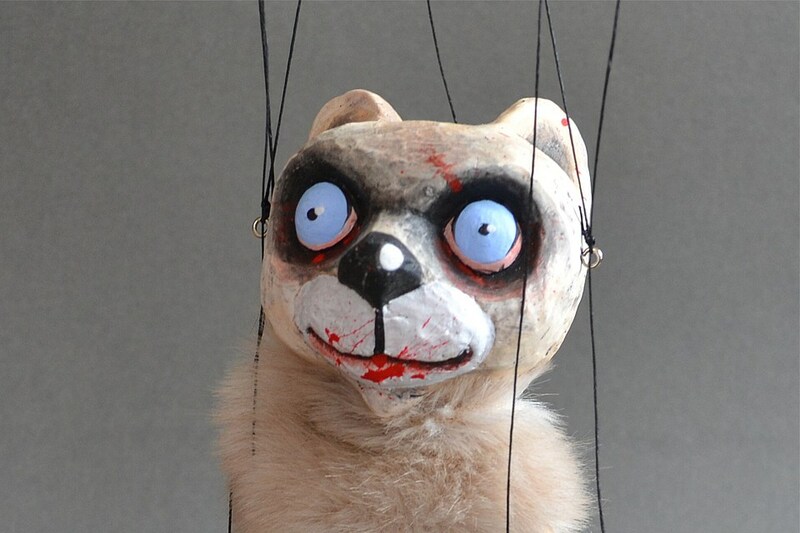 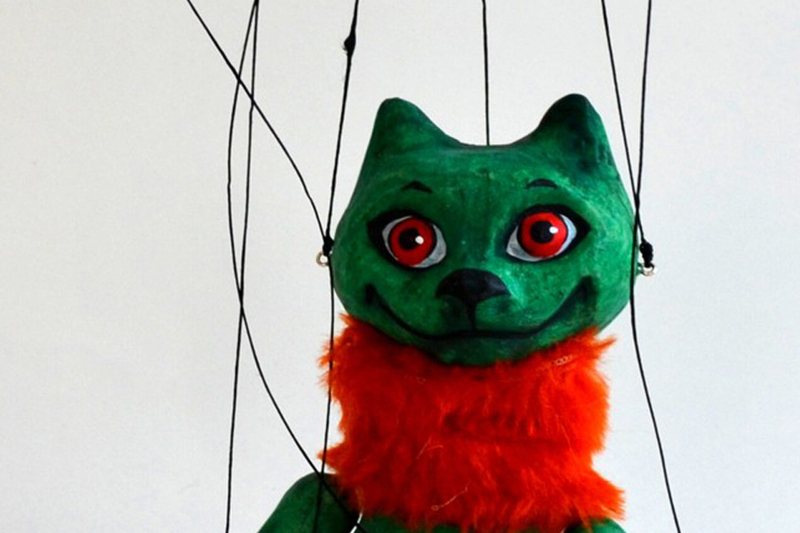 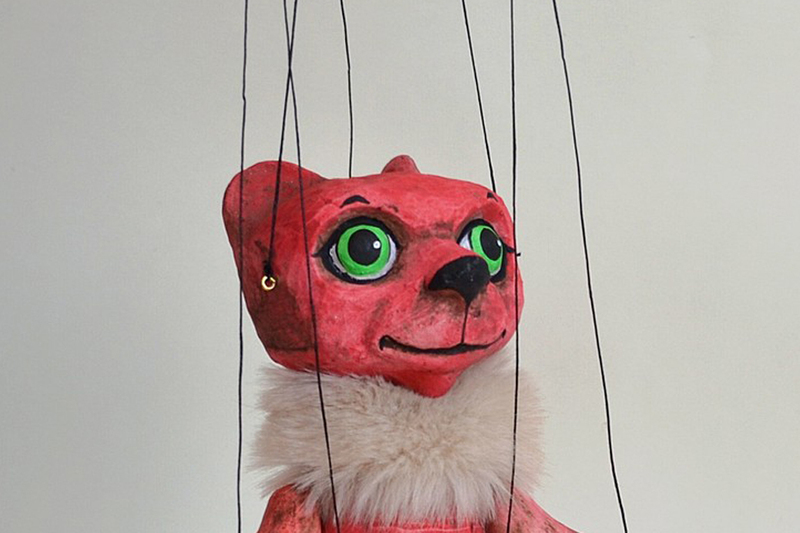 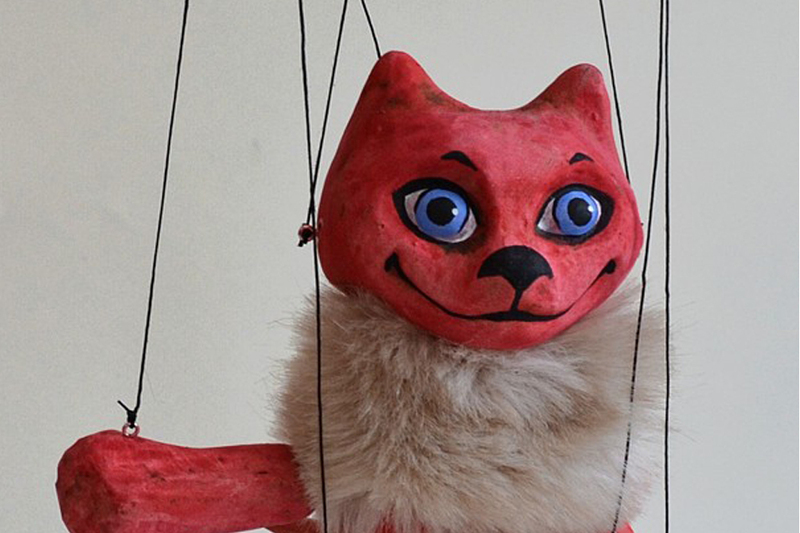 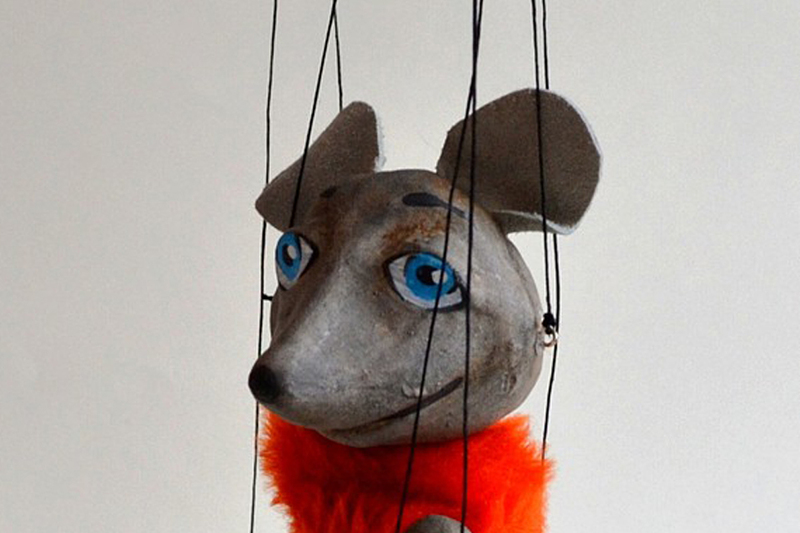 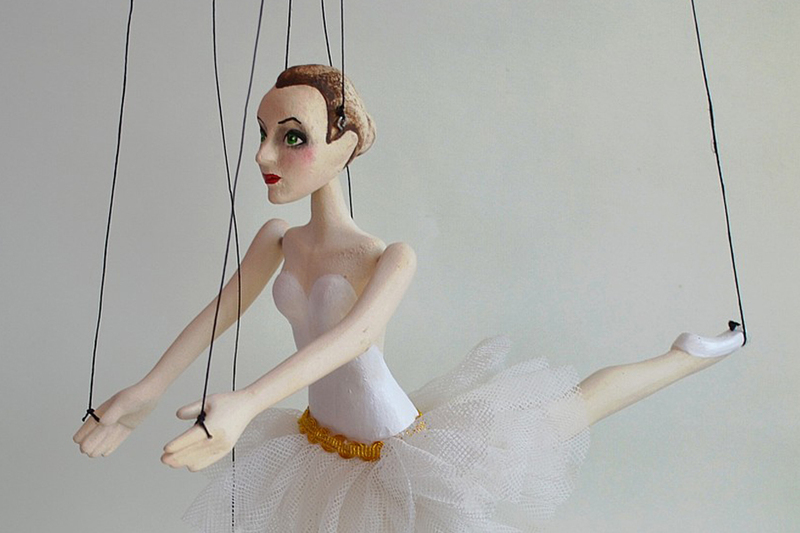 A puppet isn’t just an object on strings. 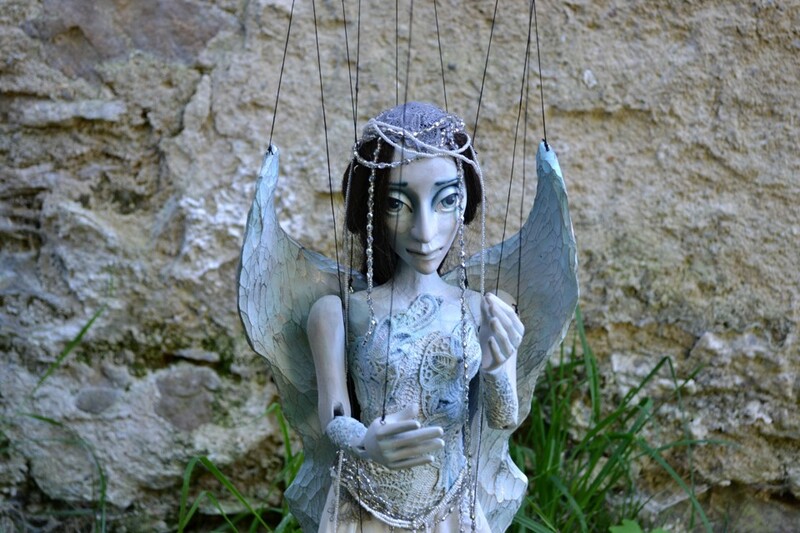 It can be a friend who develops your fantasy. 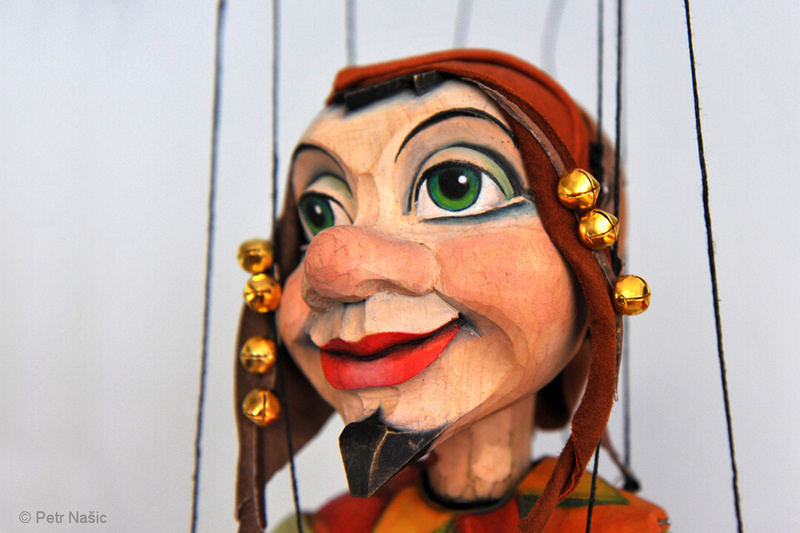 You can use it to tell your stories as a way to communicate with the world around. 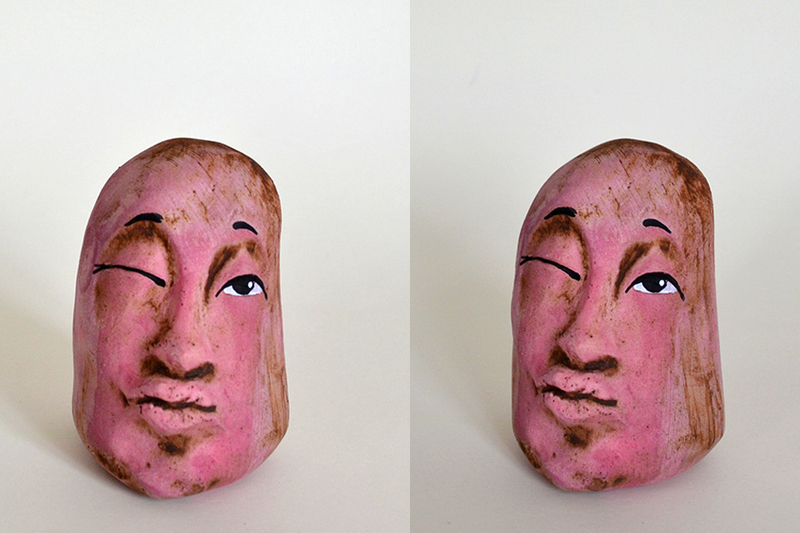 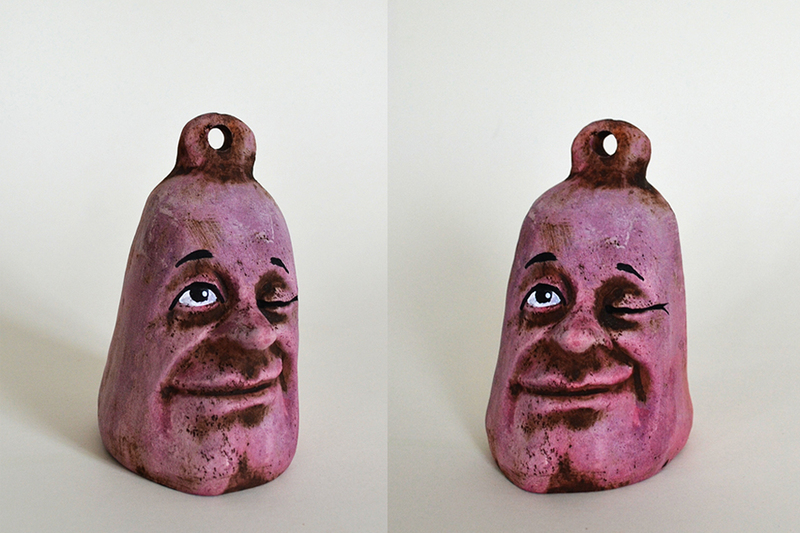 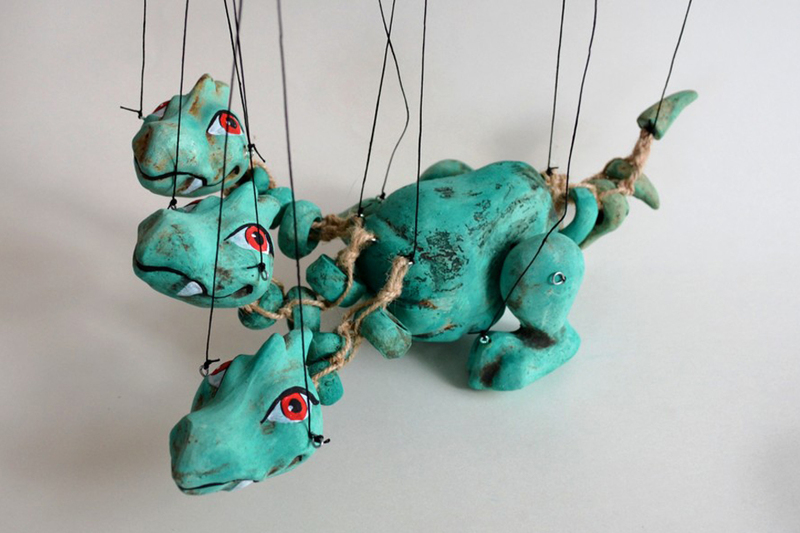 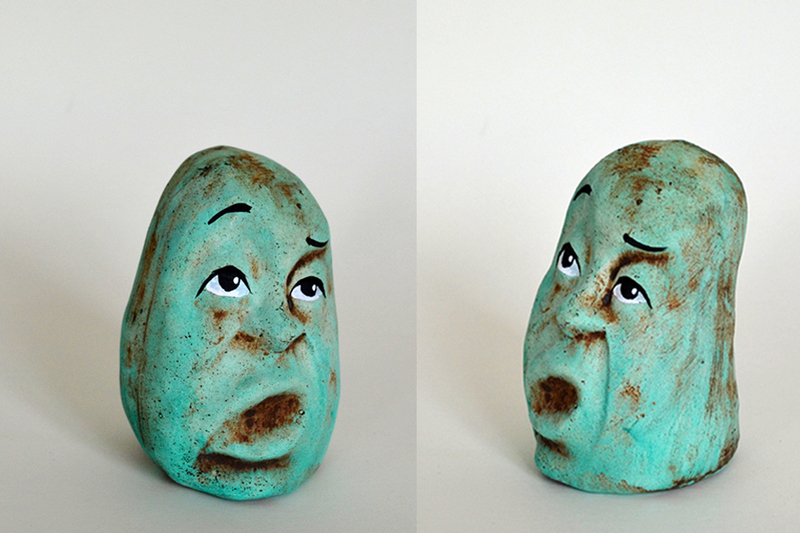 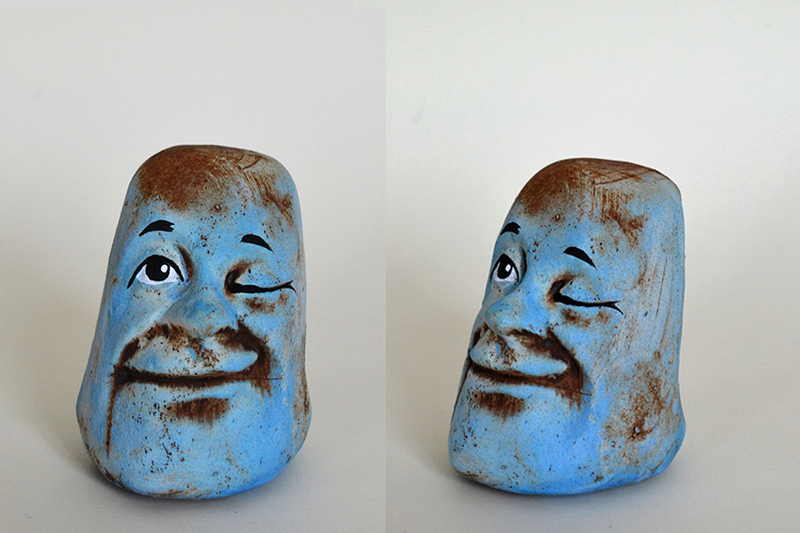 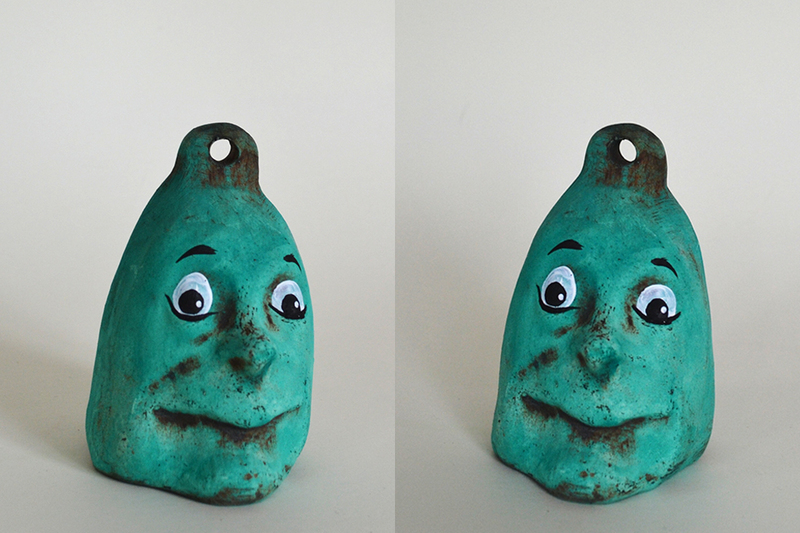 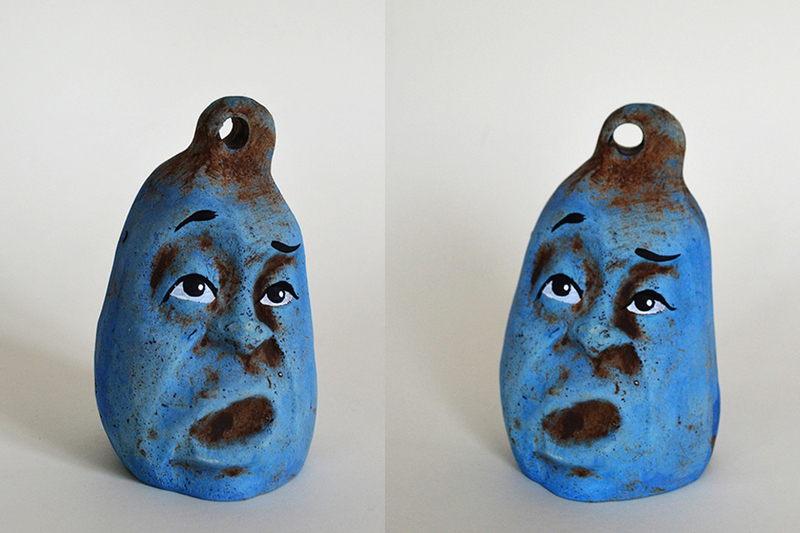 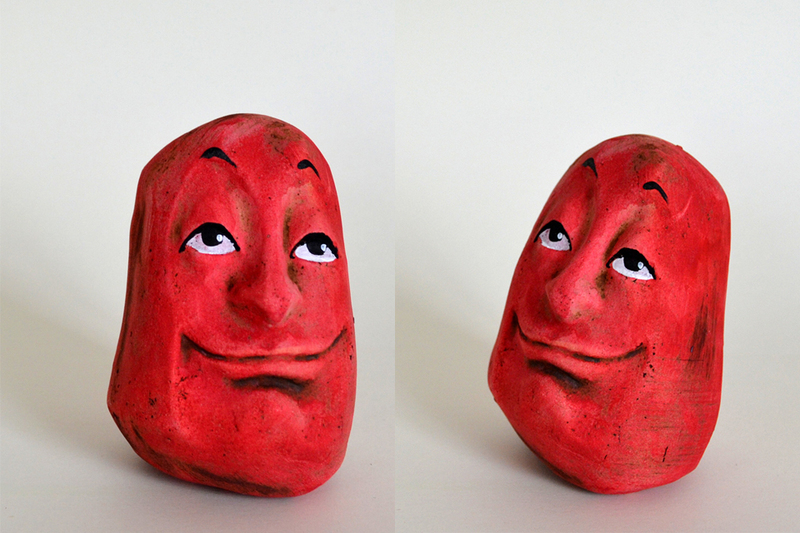 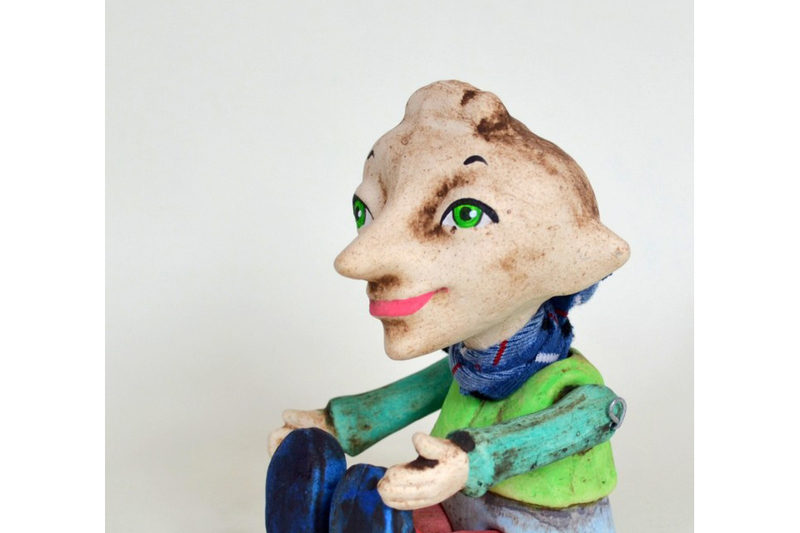 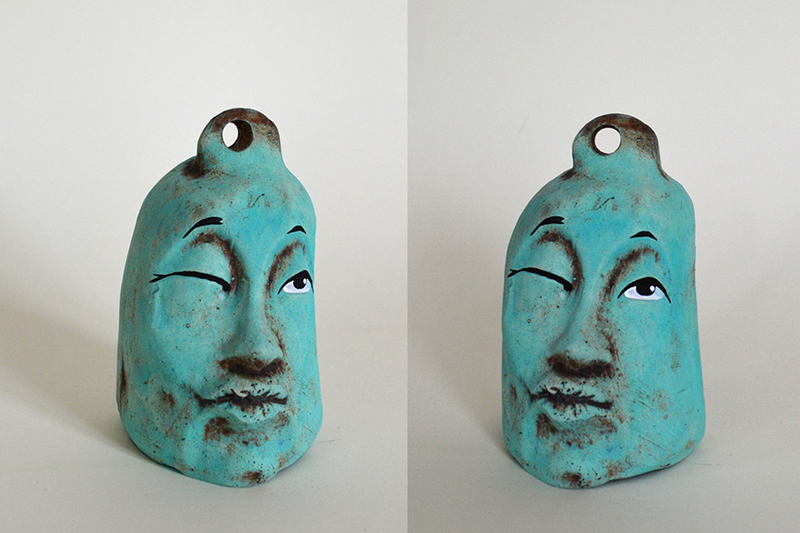 Clay puppets are a good compromise of gypsum and wooden ones. 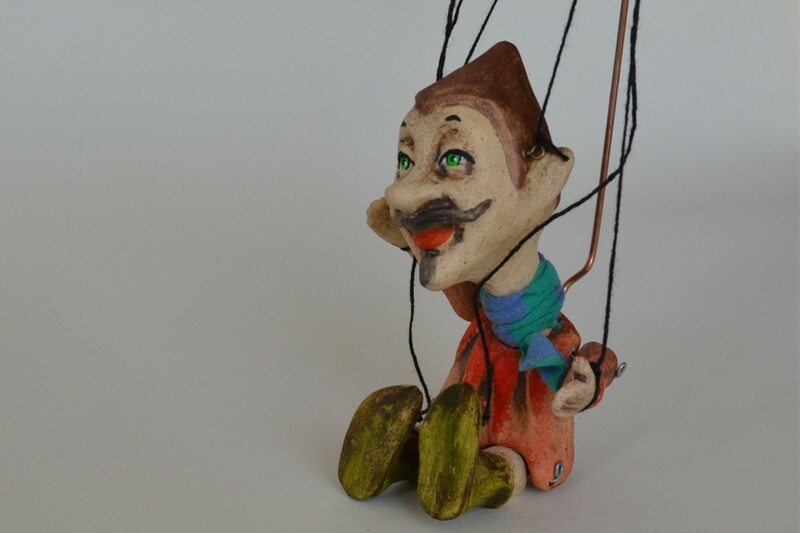 Their price is more friendly than that of the wooden ones and the material is much stronger than gypsum. 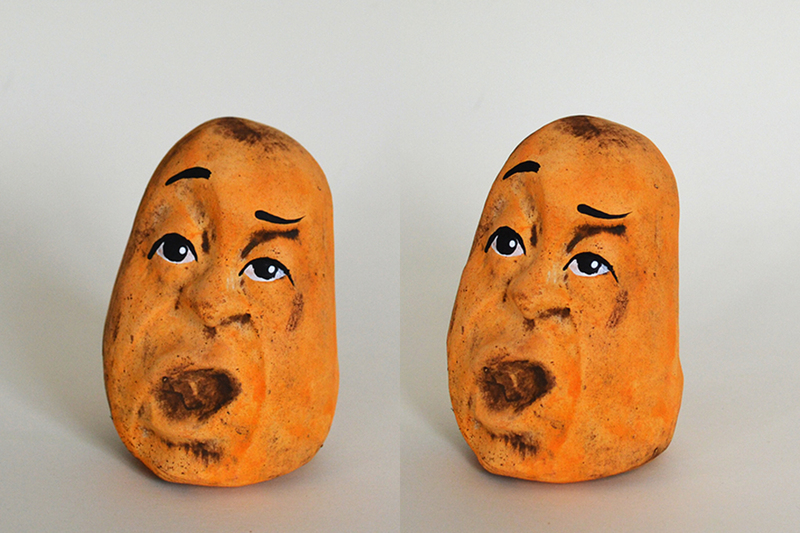 They are not heavy because we use a technology to make them hollow inside. 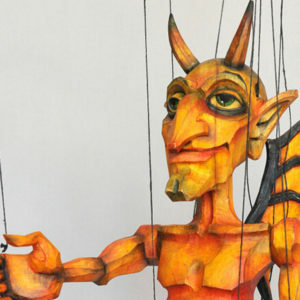 The puppets are painted using oil or acrylic colors. 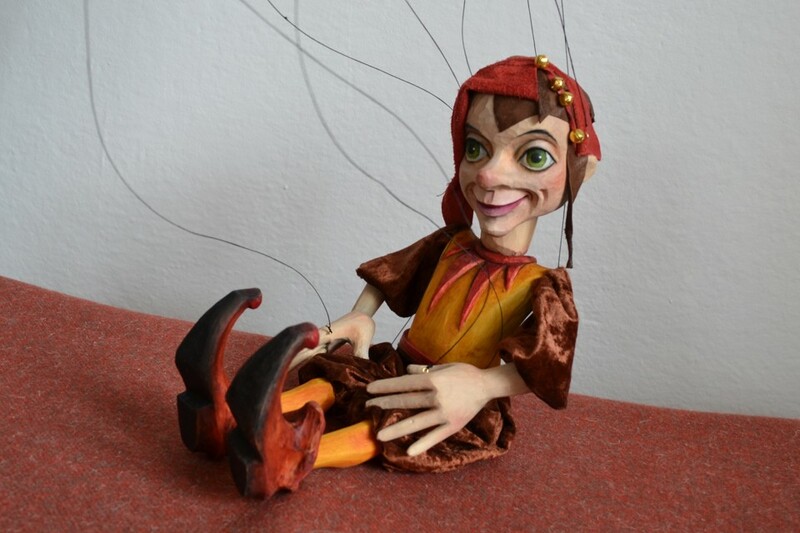 We make custom marionettes. 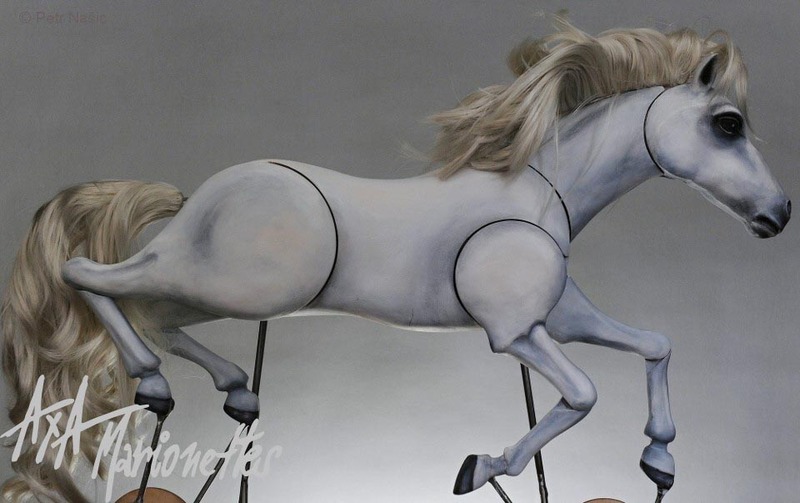 Whatever your dream can live! 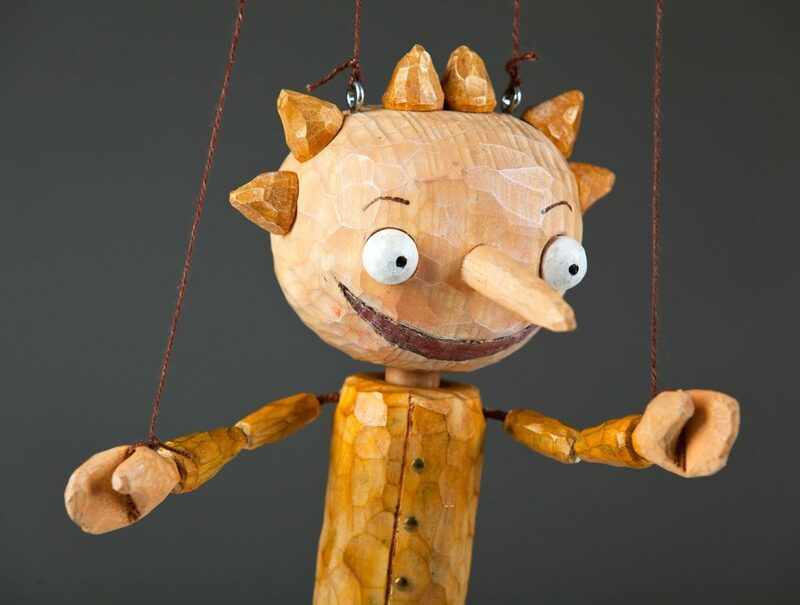 Great buy - special low prices on selected wooden marionettes and clay puppets. 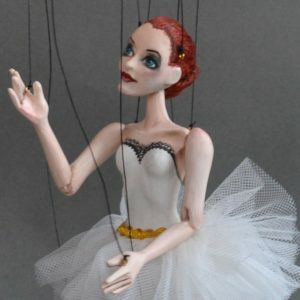 Don't miss a unique chance to pay even less for your favorite puppet. 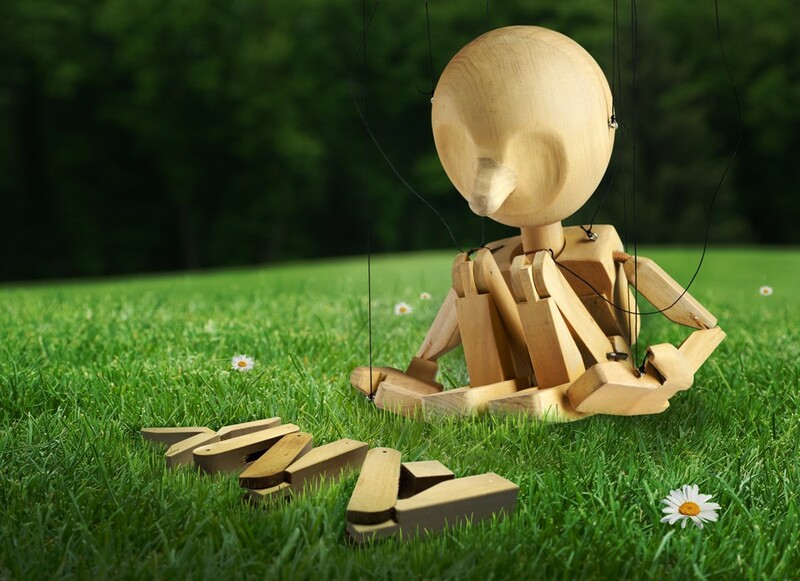 Take advantage of this limited time offer - make your purchase now. 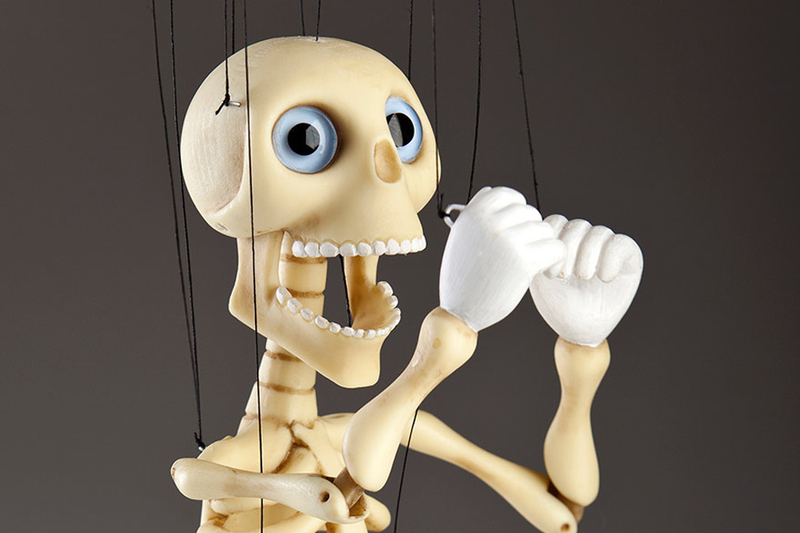 Wooden marionettes are mostly intended for professionals. 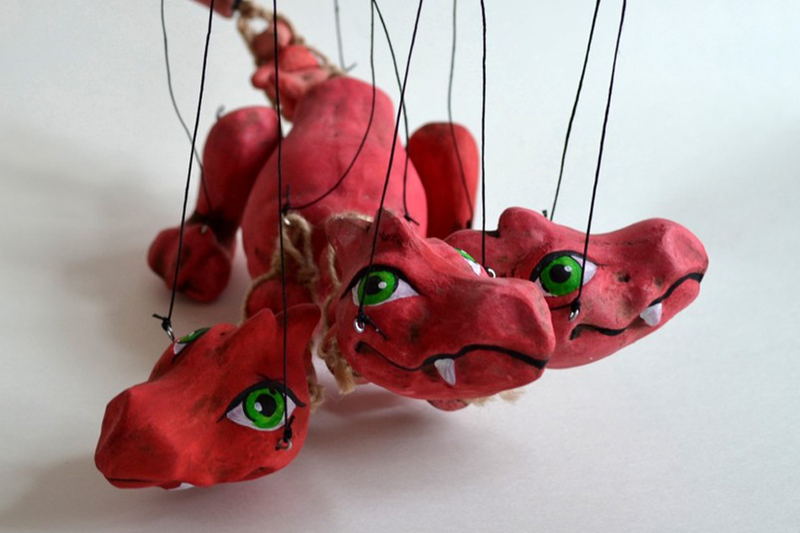 They are good for both beginners and advanced puppeteers. 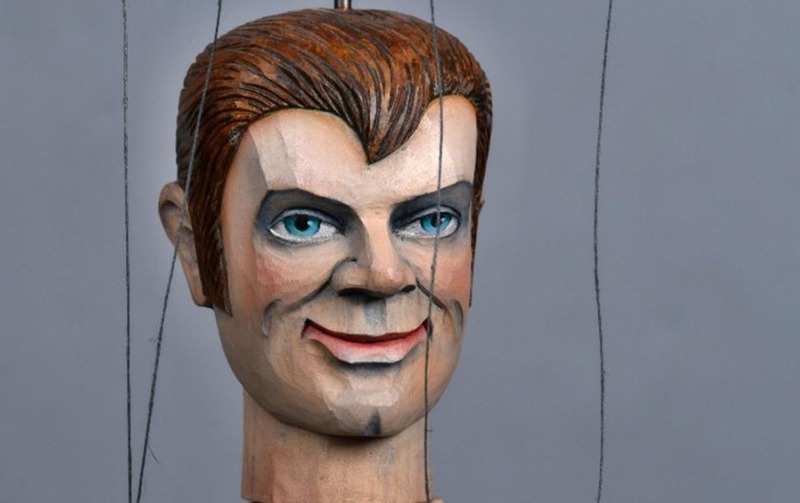 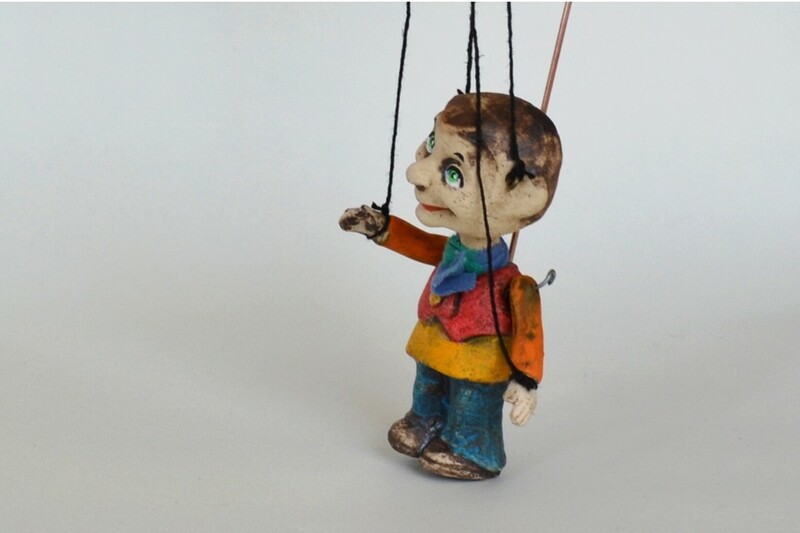 The value of wooden marionettes grows with their age, so it is also a good investment. 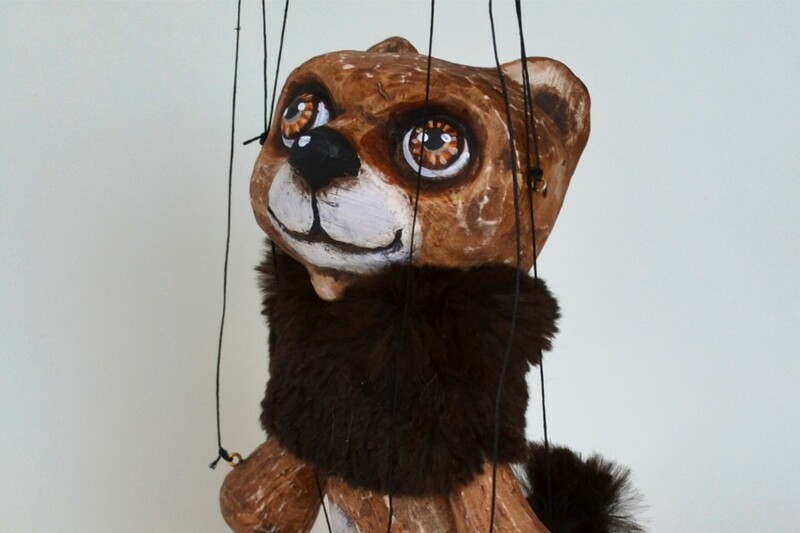 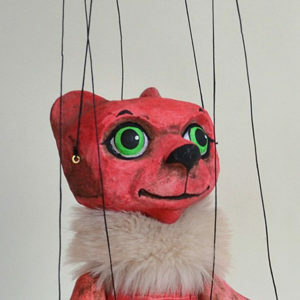 A puppet can also be an original gift that you can buy for your friends or family. 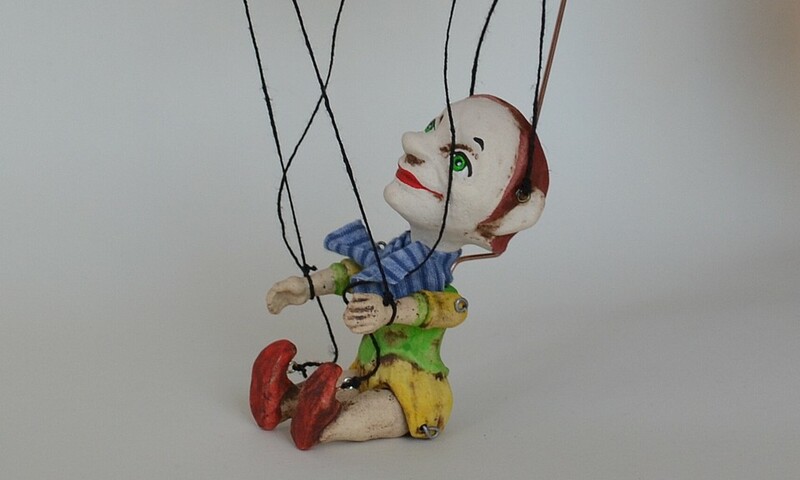 Also, a marionette's value increases with time, making it a good investment. 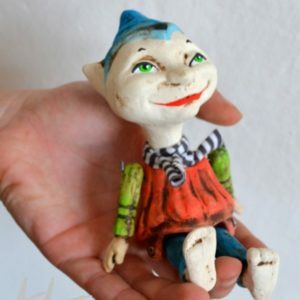 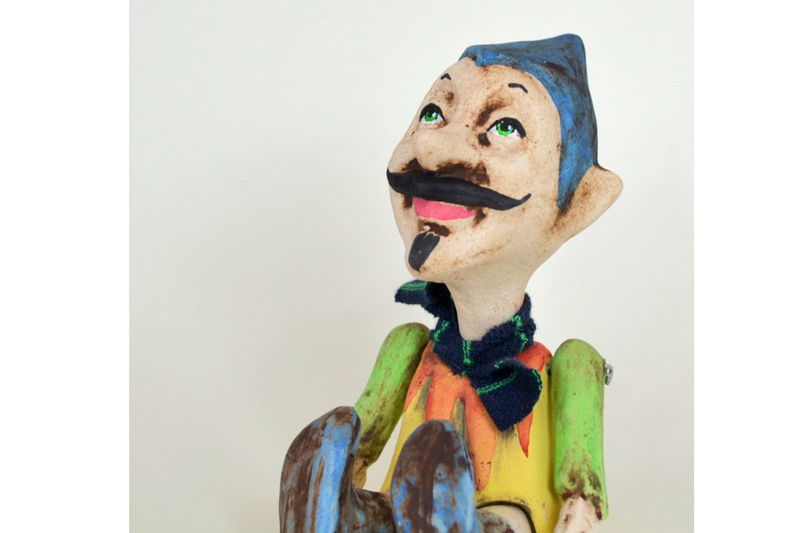 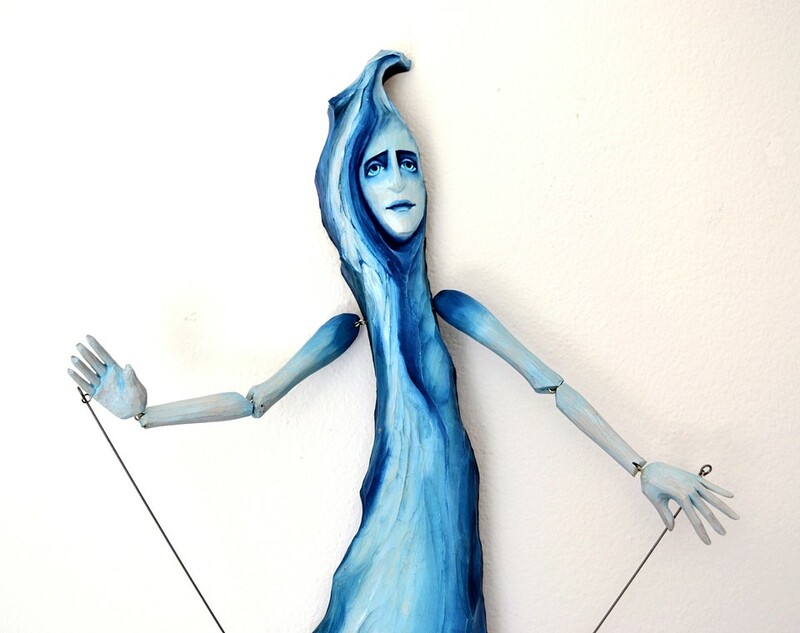 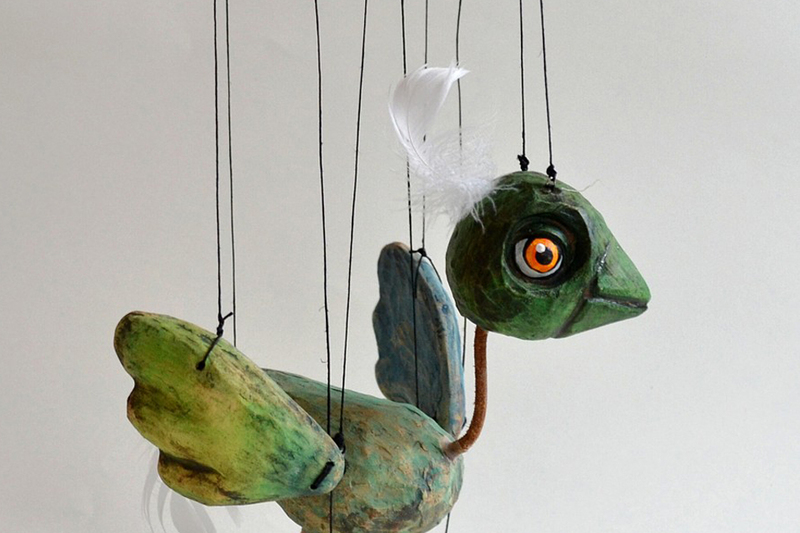 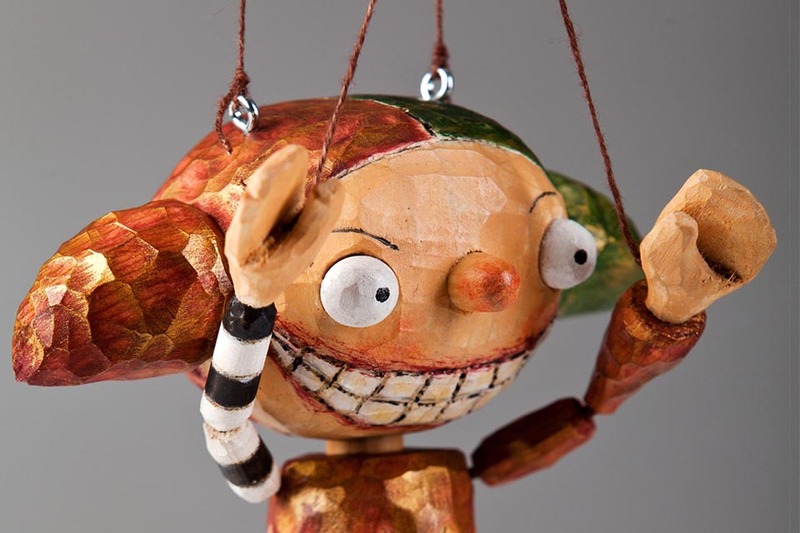 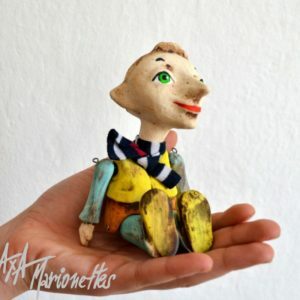 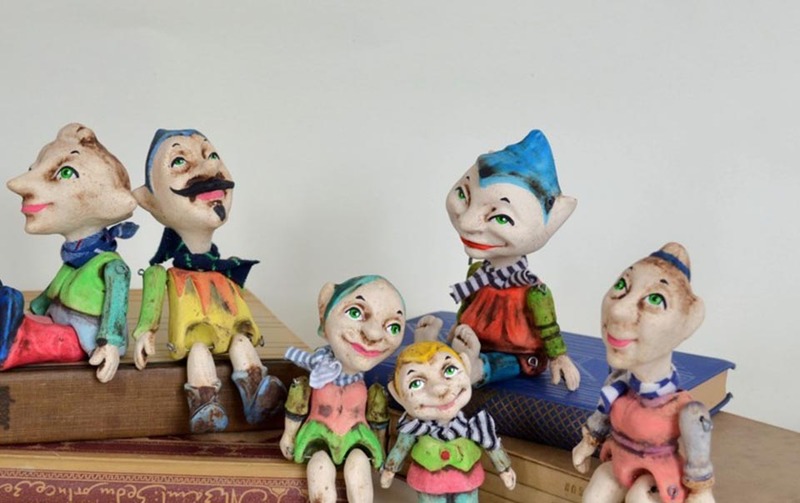 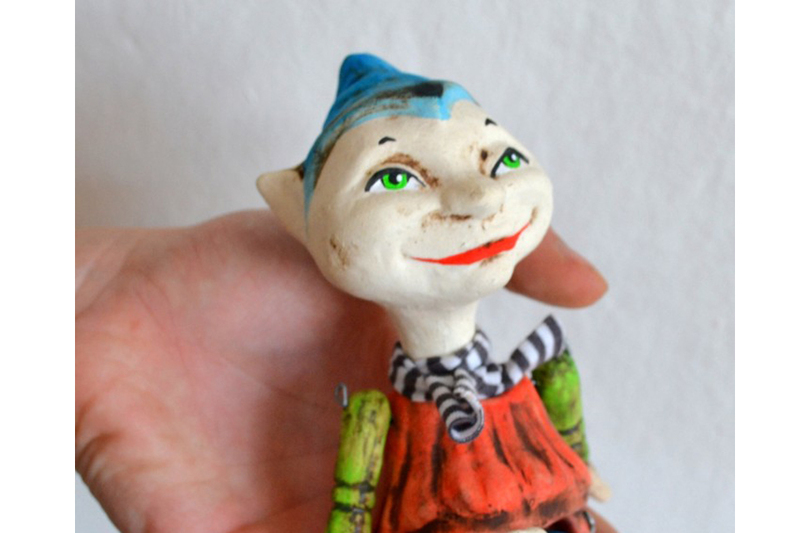 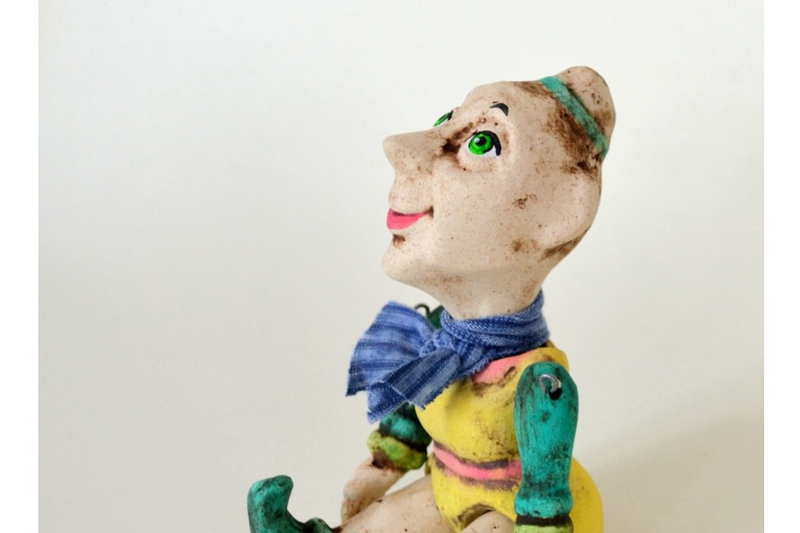 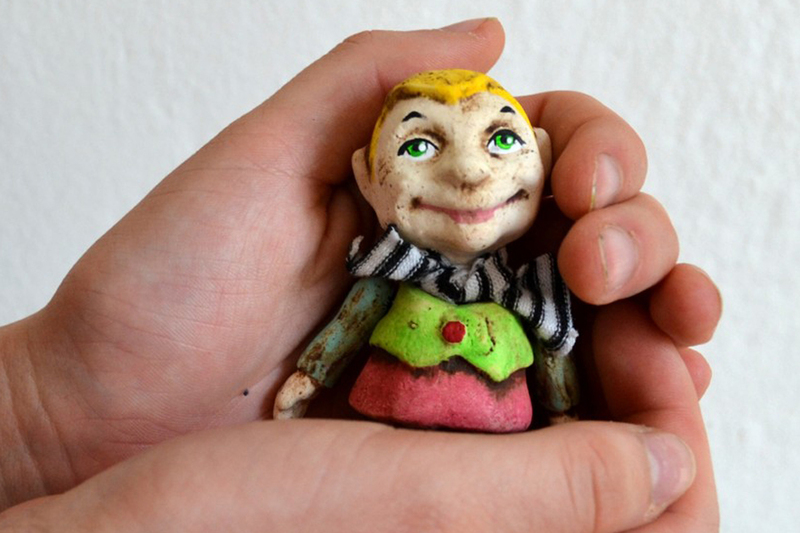 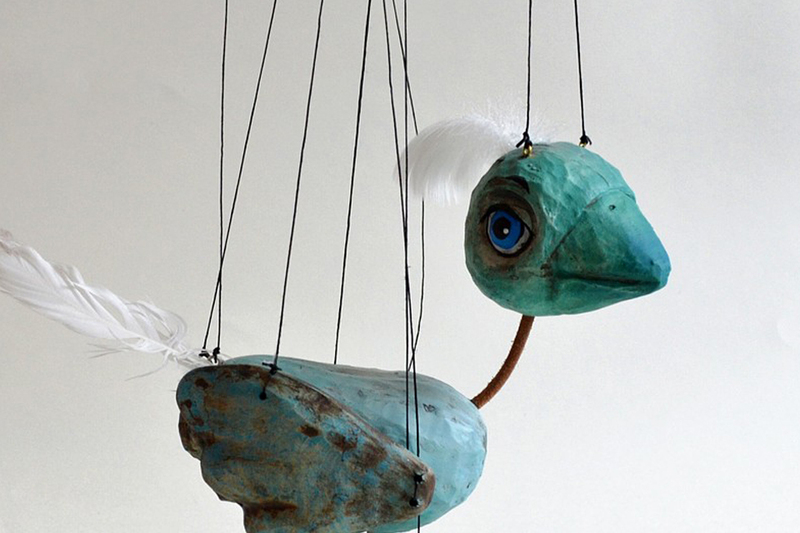 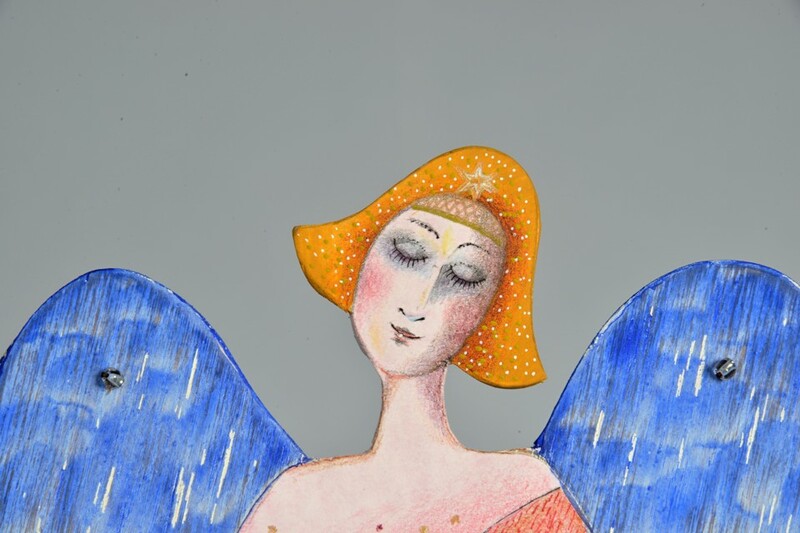 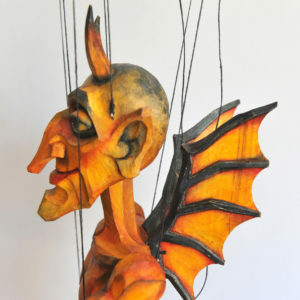 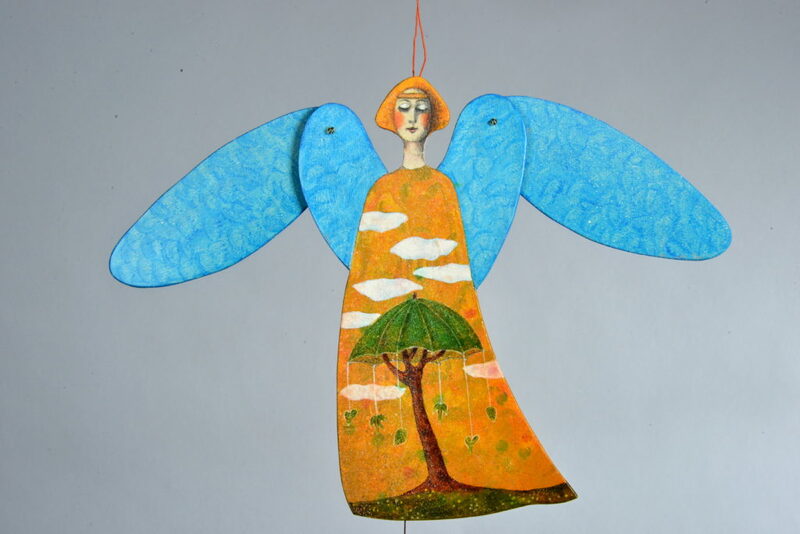 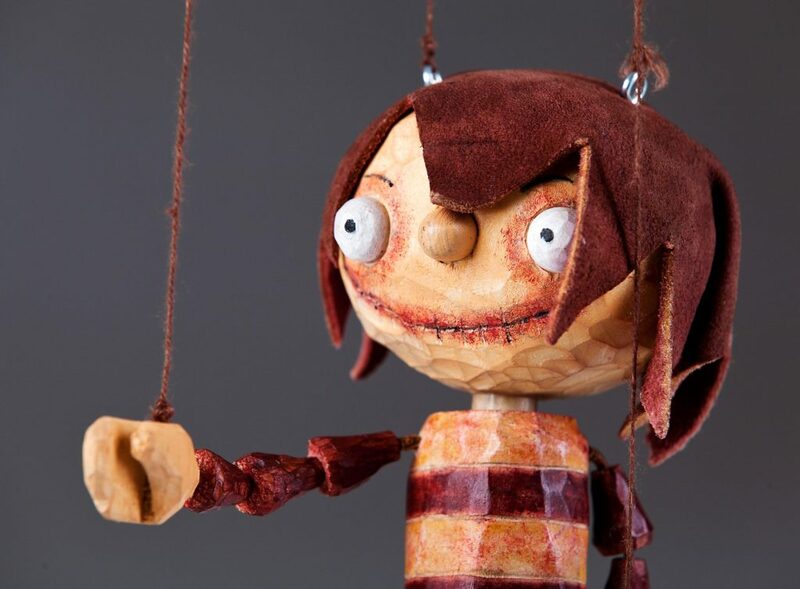 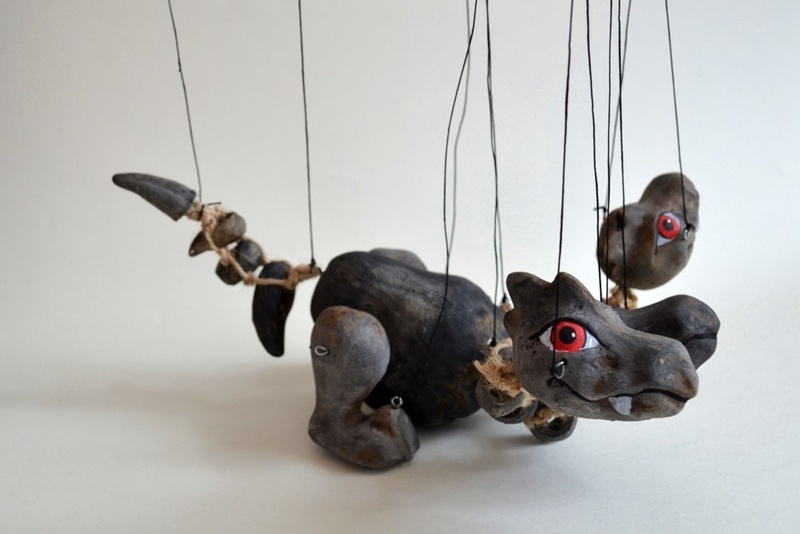 In our shop we offer clay, gypsum and wooden marionettes. 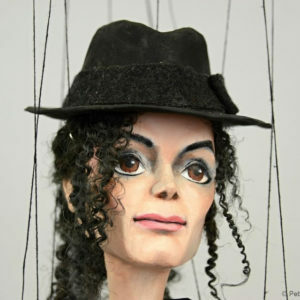 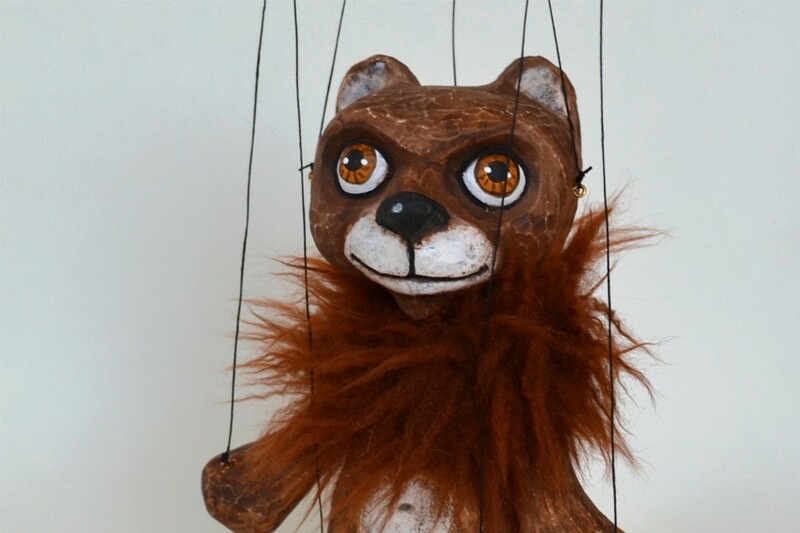 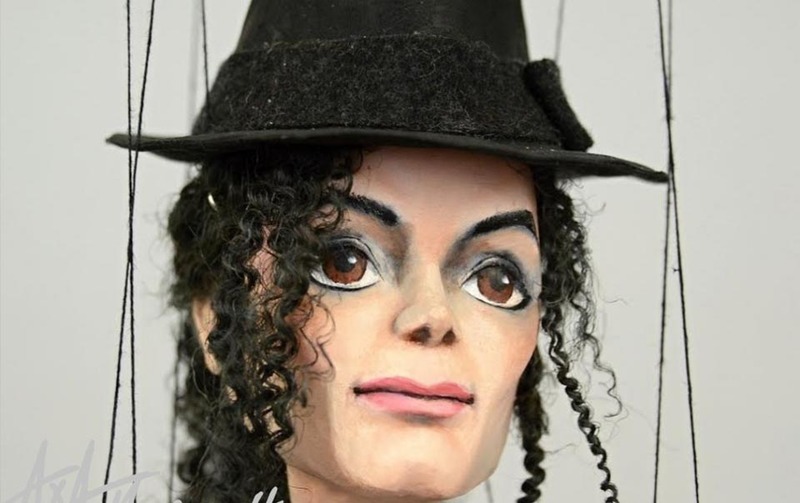 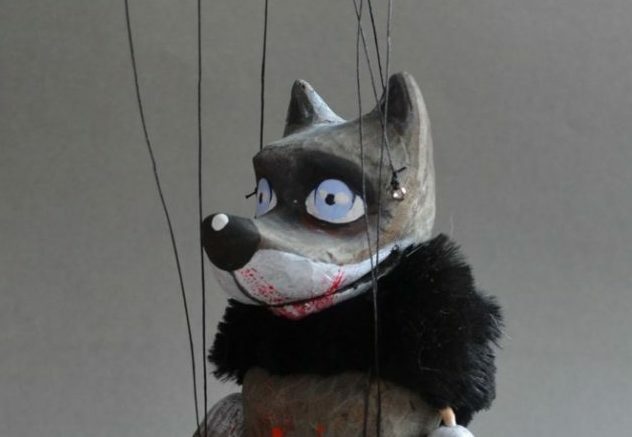 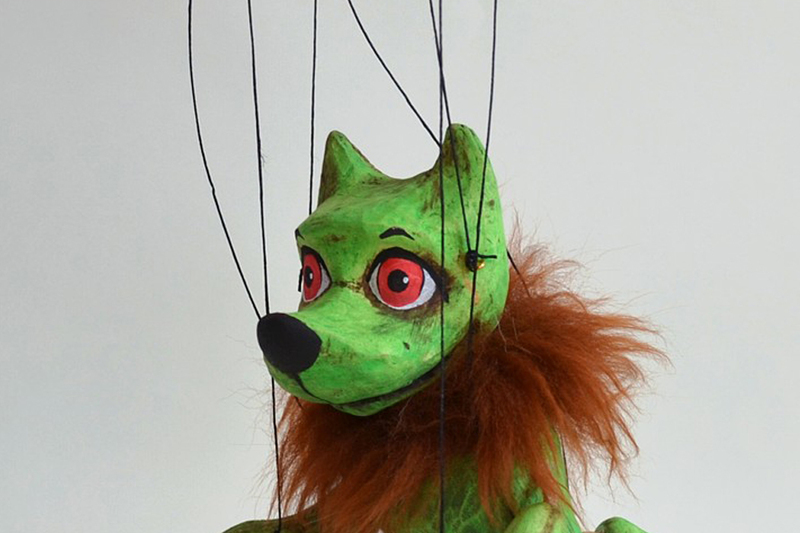 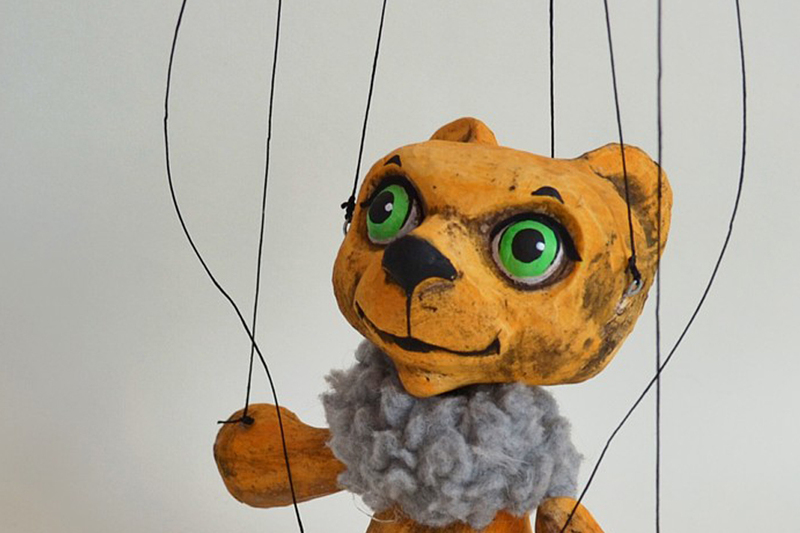 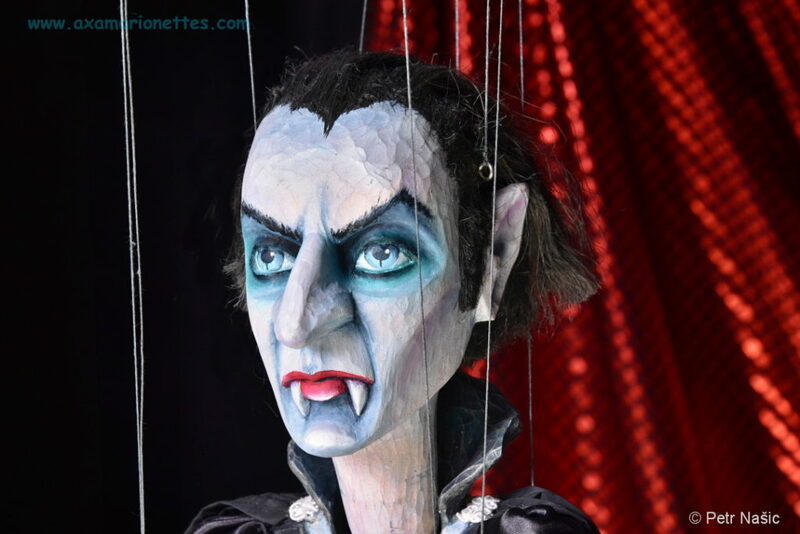 There is a complete range of puppets, from the ones for beginners that are inexpensive and easy to control, to wooden marionettes what can be used by professionals. 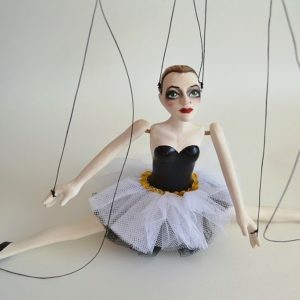 It takes some practice to control them, but it is easy to learn how to do it. 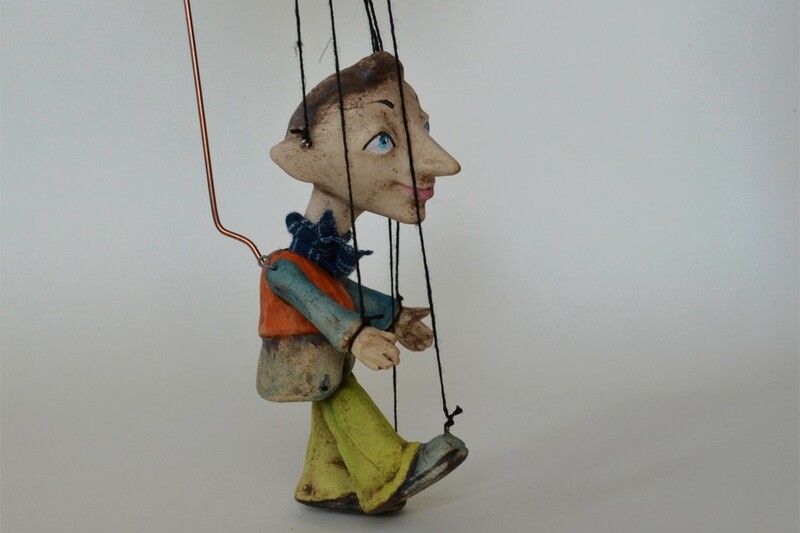 You can buy a marionette of a neutral character - we offer two versions of them. 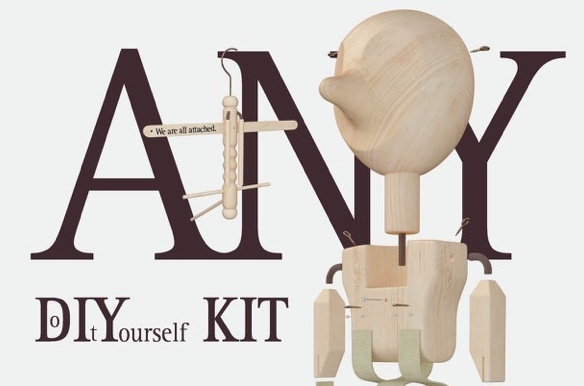 One is called "ANY", it is a simple and well balanced marionette that comes with DVD instructions. 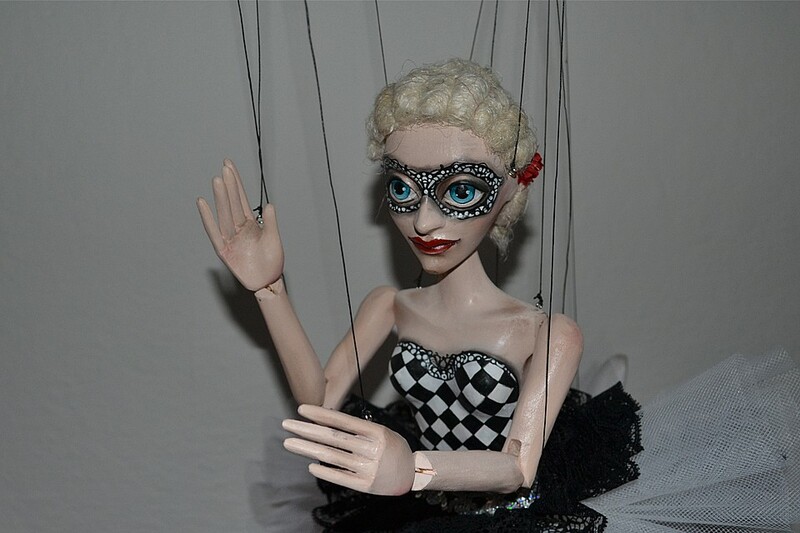 The other one is a "Neutral" marionette, on strings and with more joints. 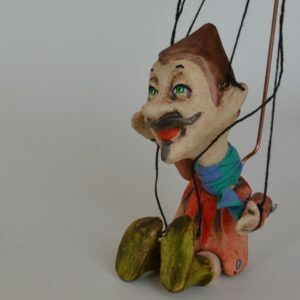 Don't hesitate and choose your Pinocchio, Elf, Mermaid, Jester, Devil, Wizard, Fairy, Clown or any other character you like. 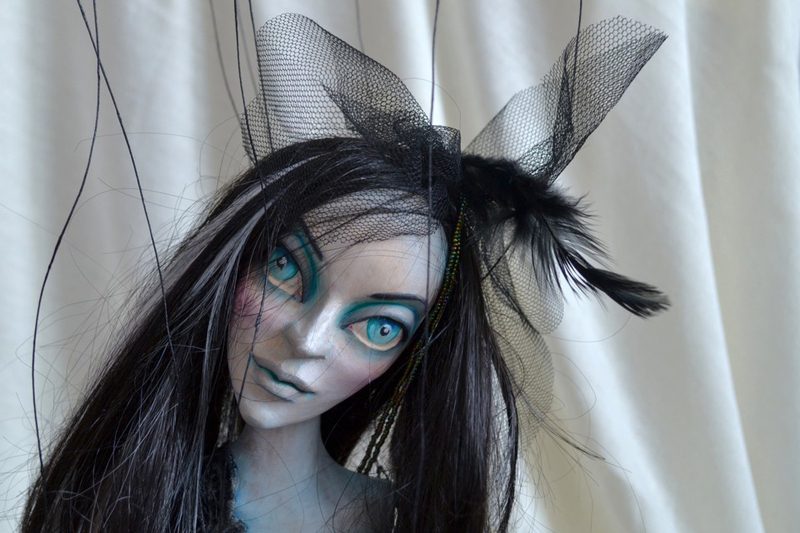 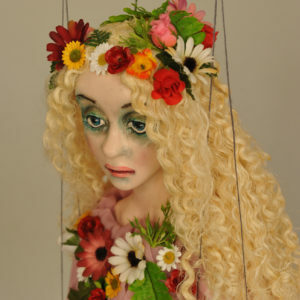 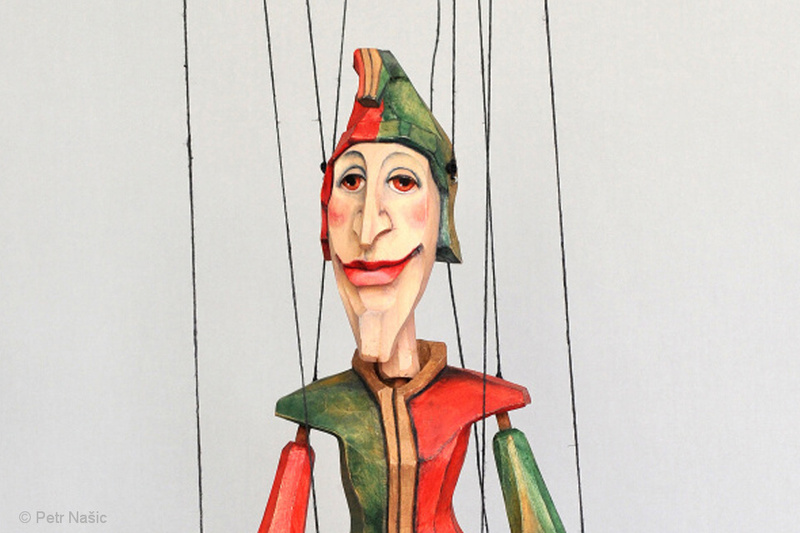 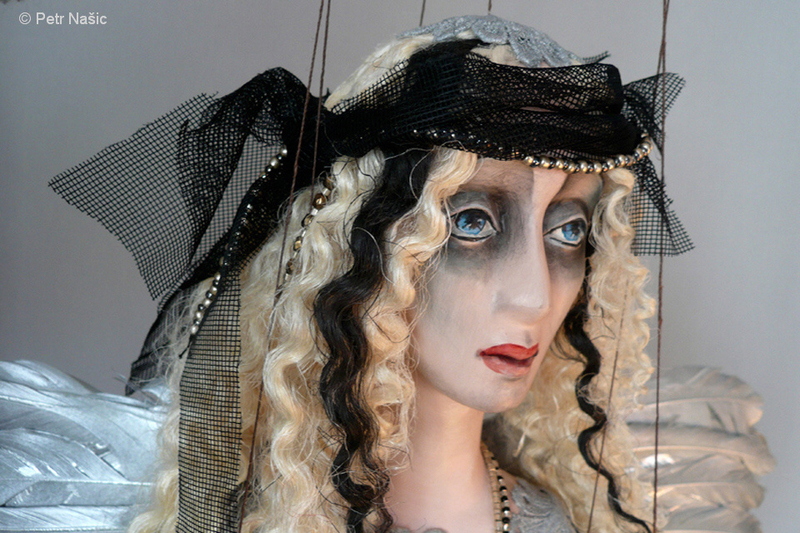 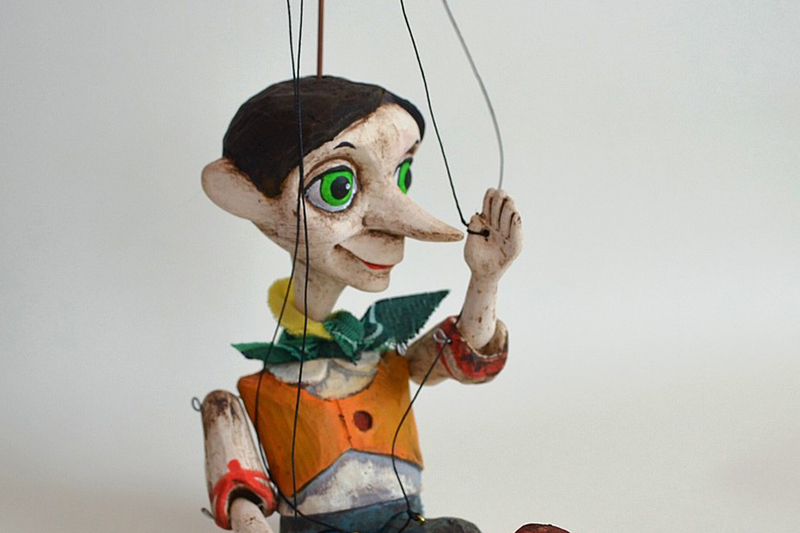 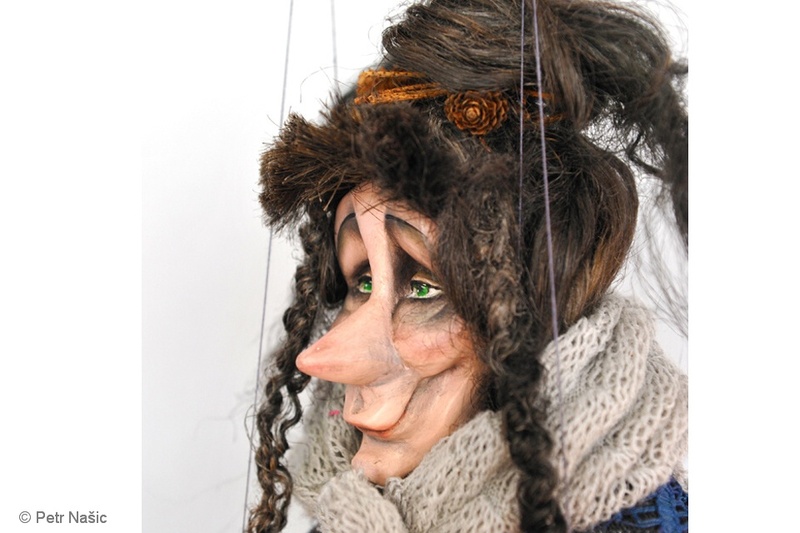 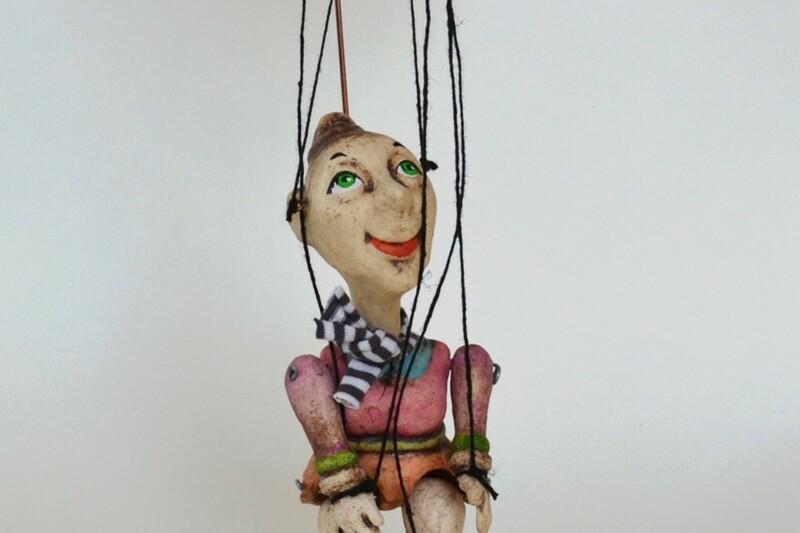 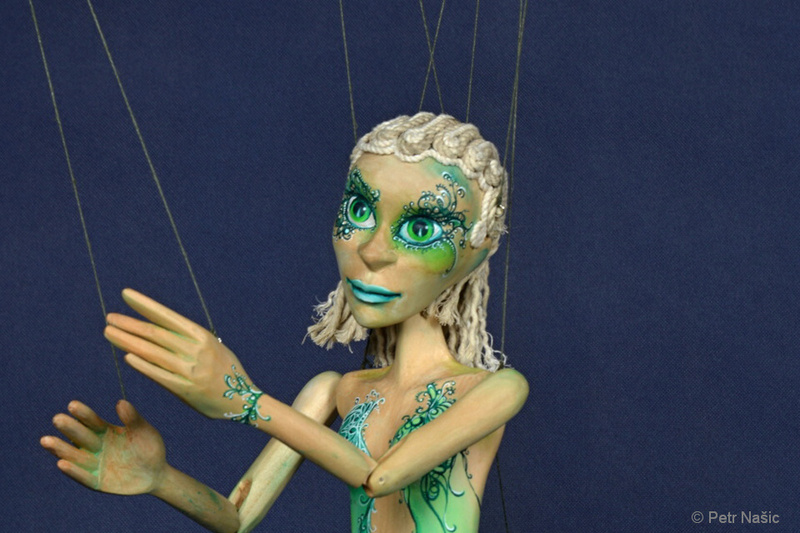 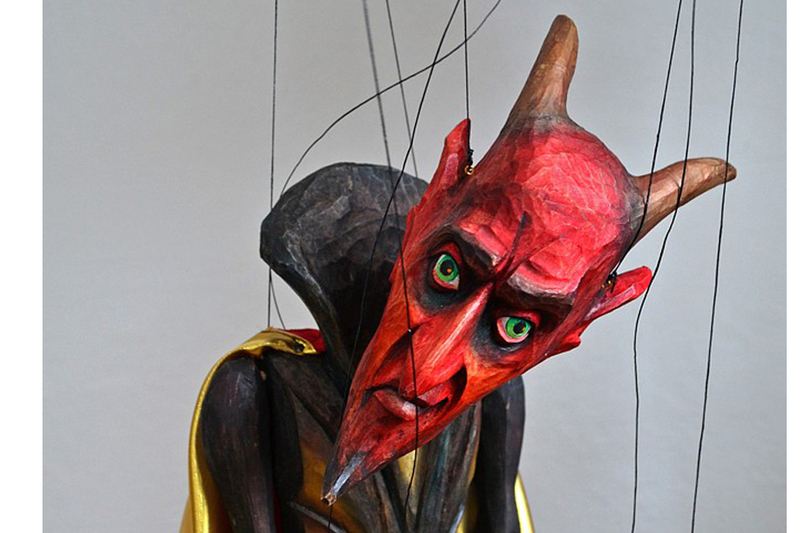 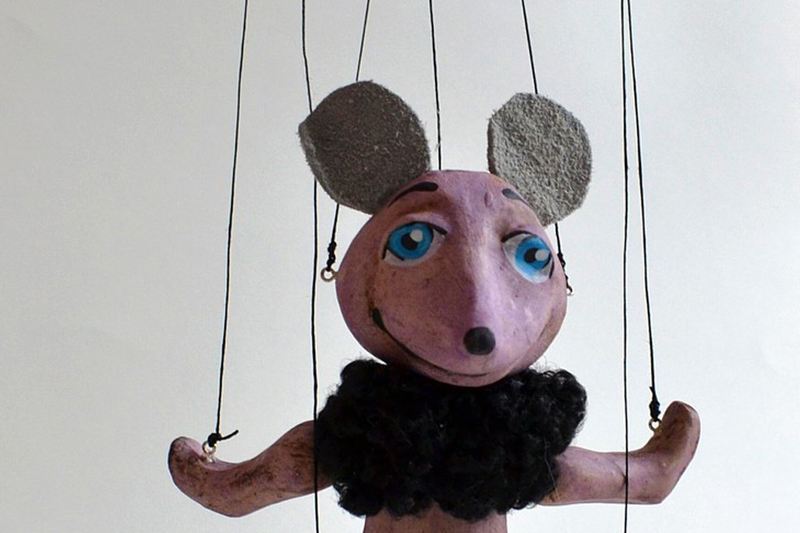 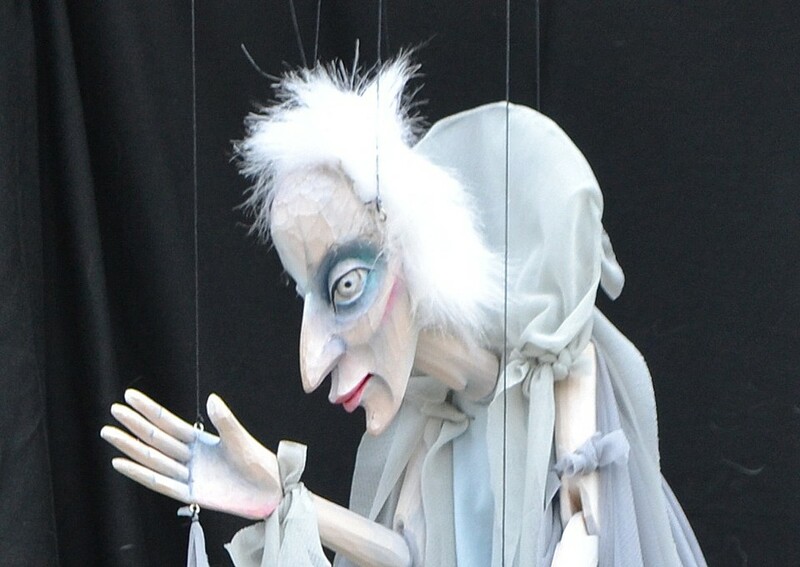 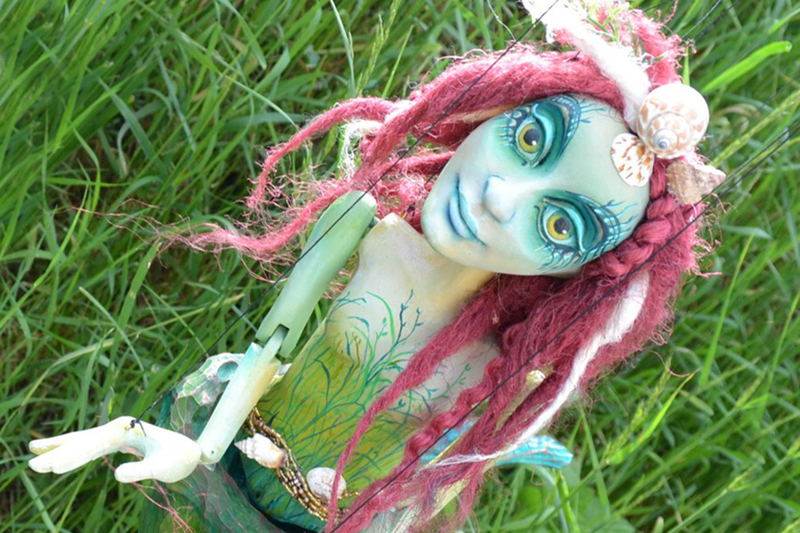 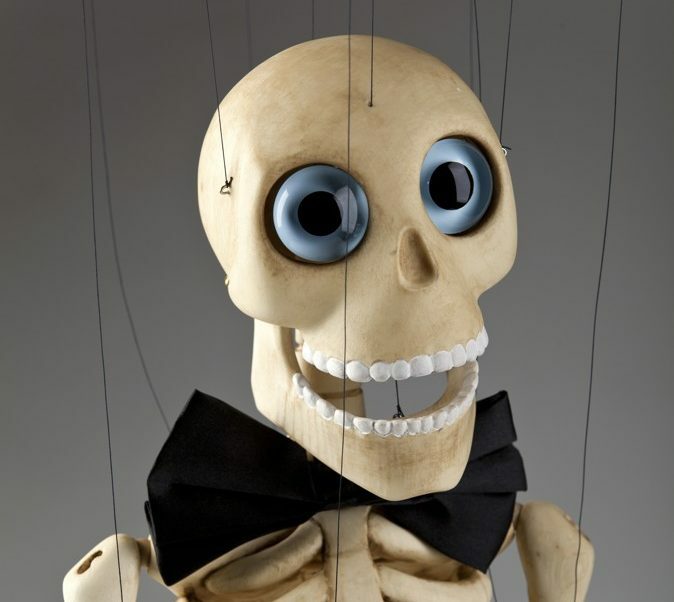 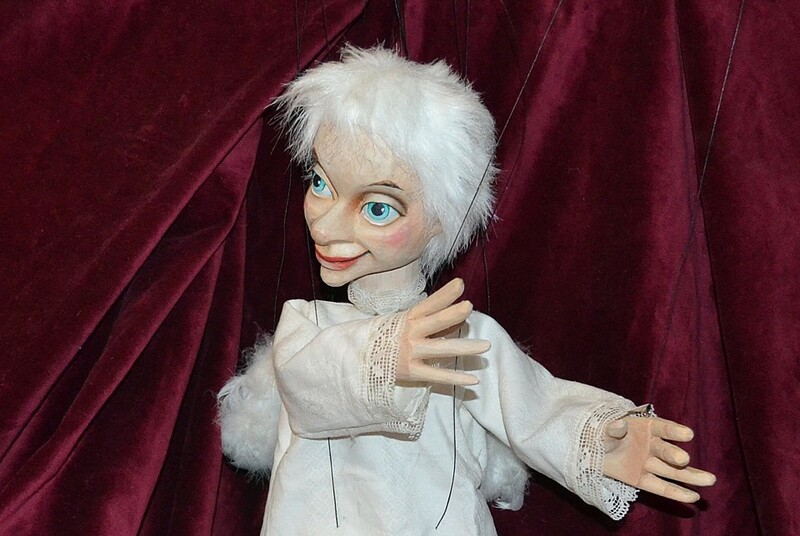 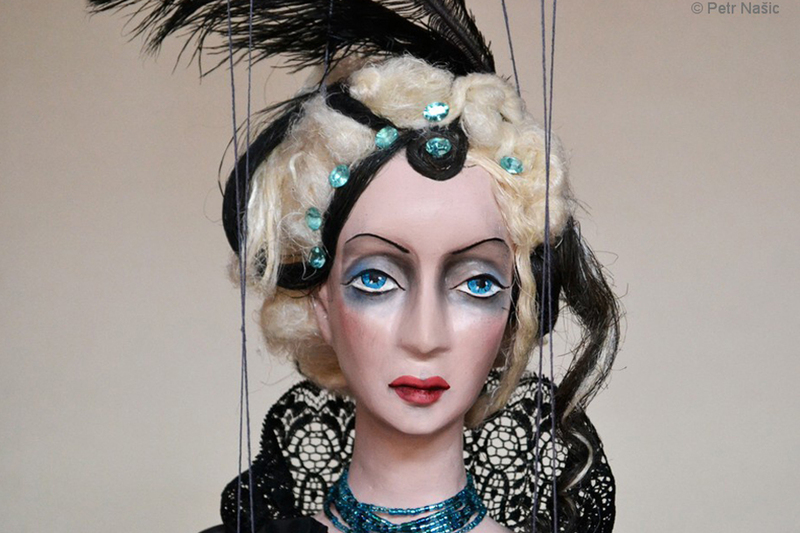 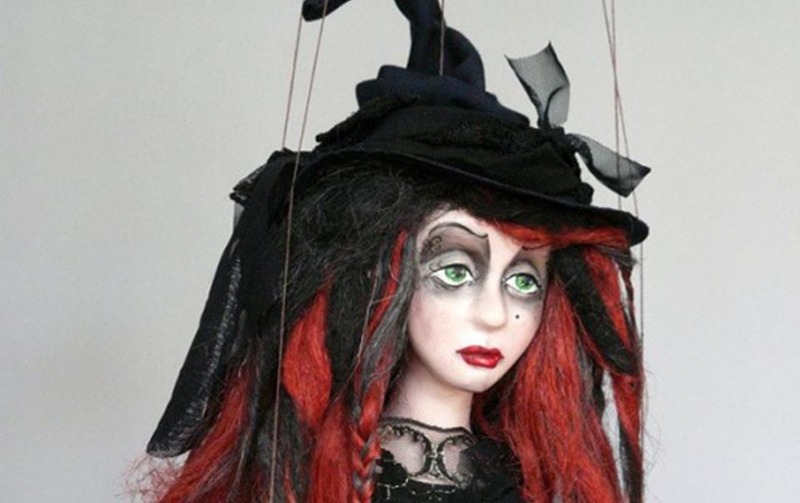 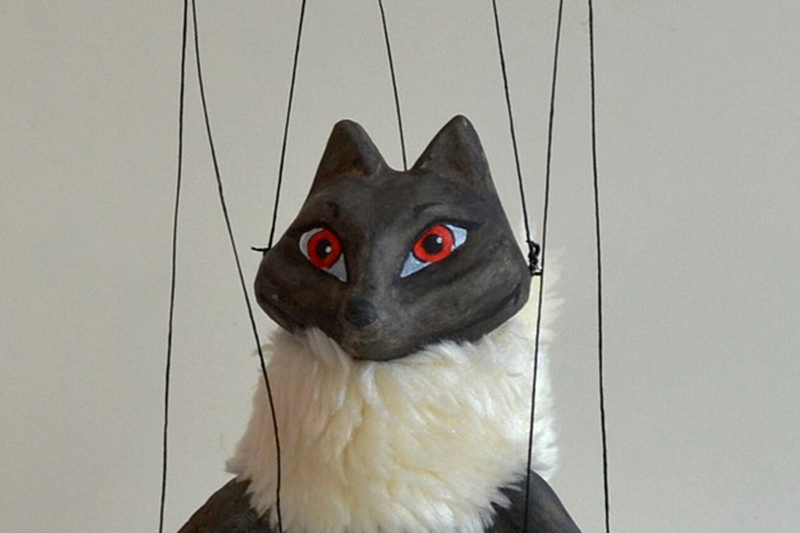 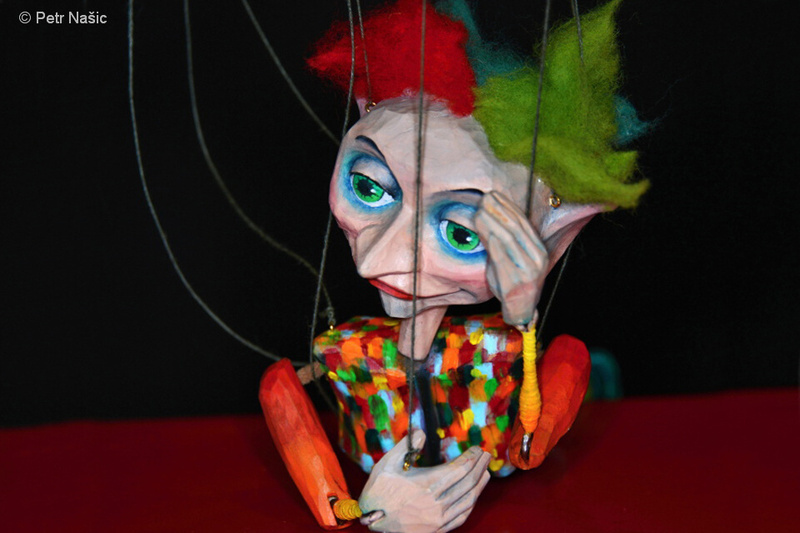 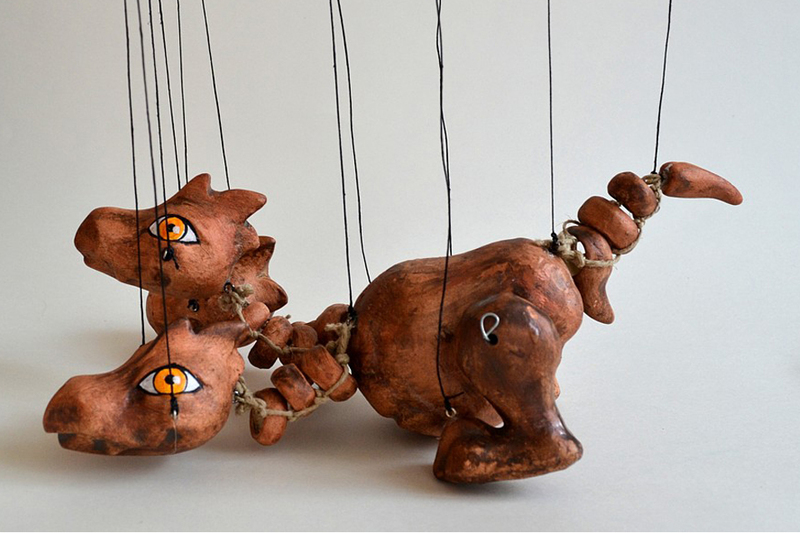 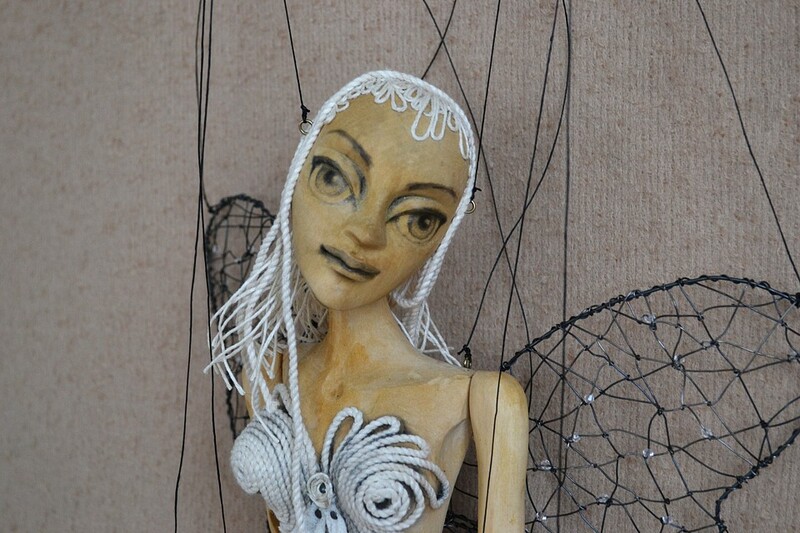 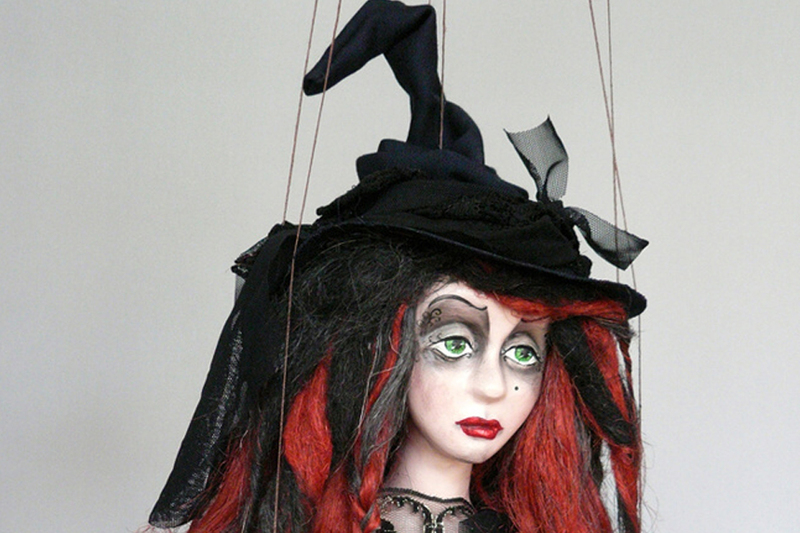 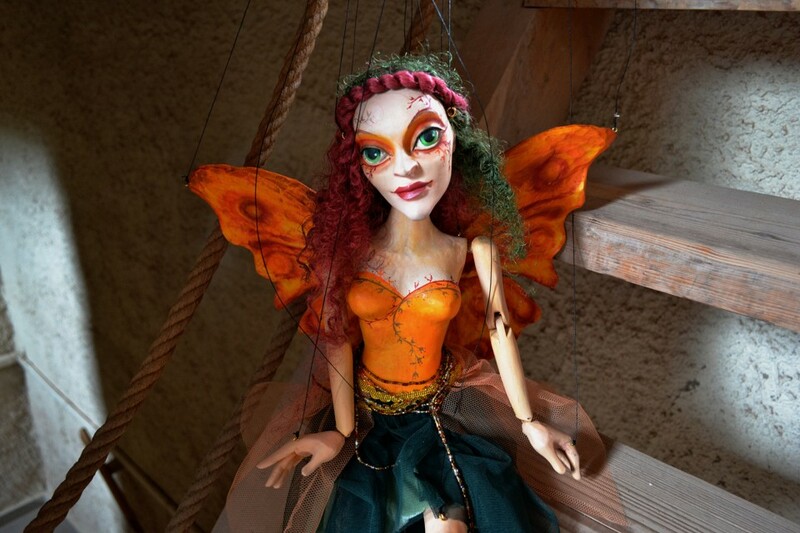 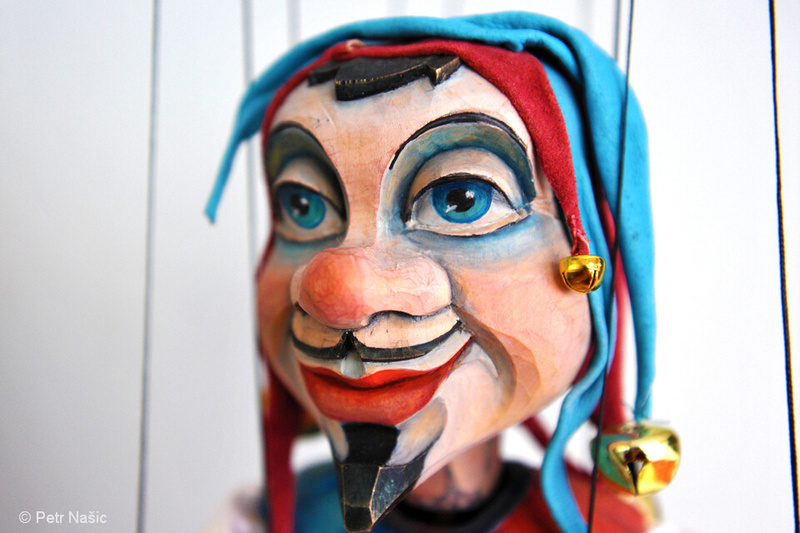 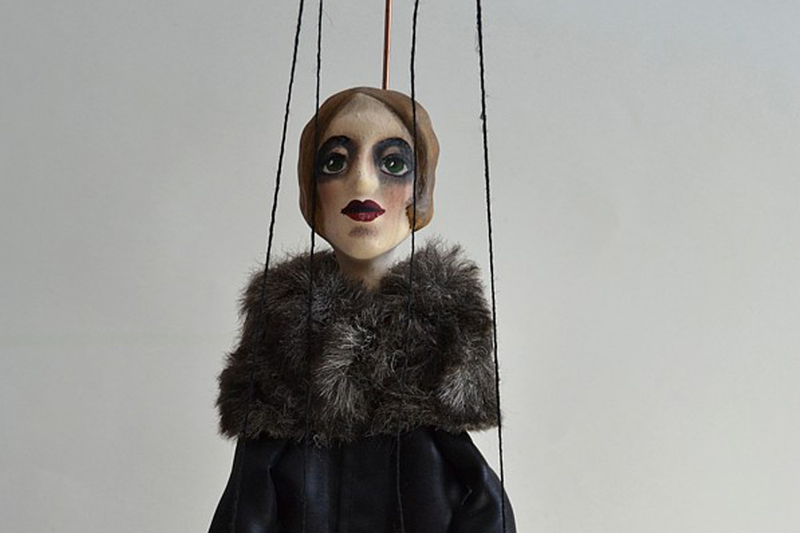 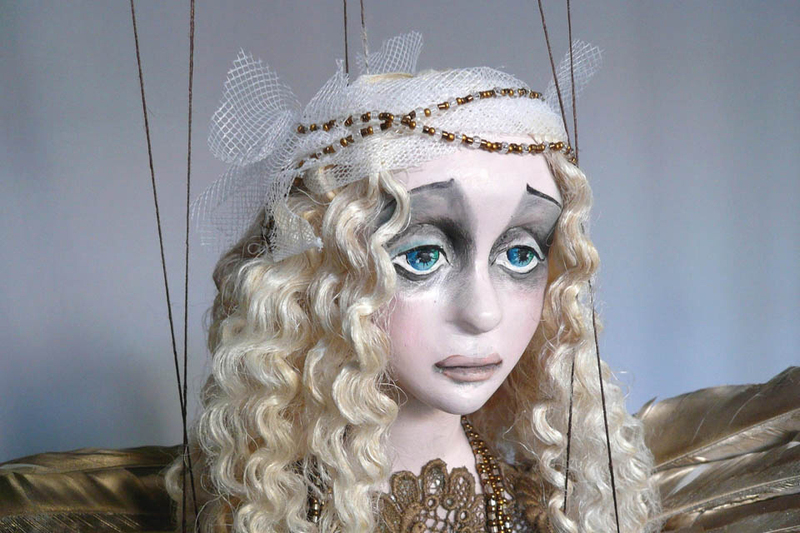 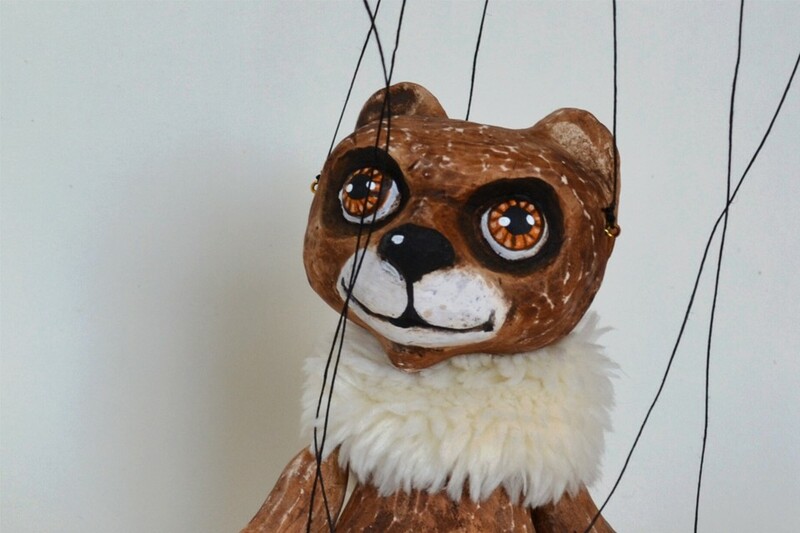 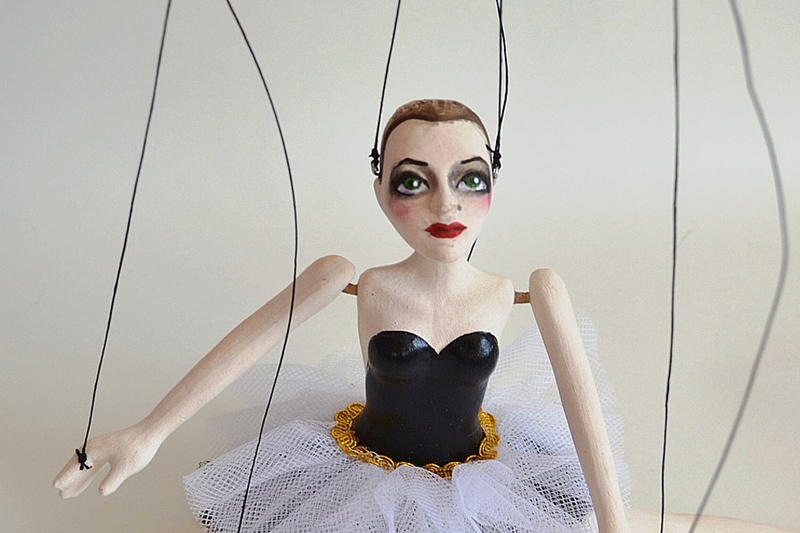 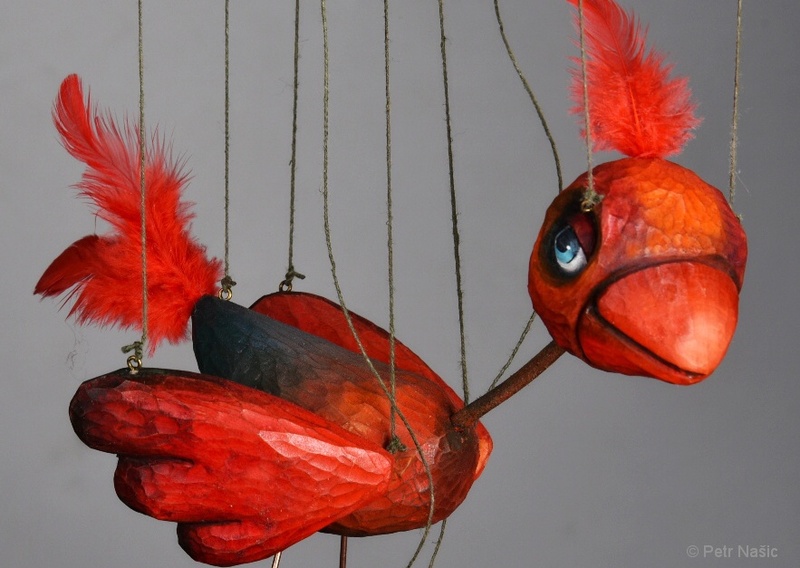 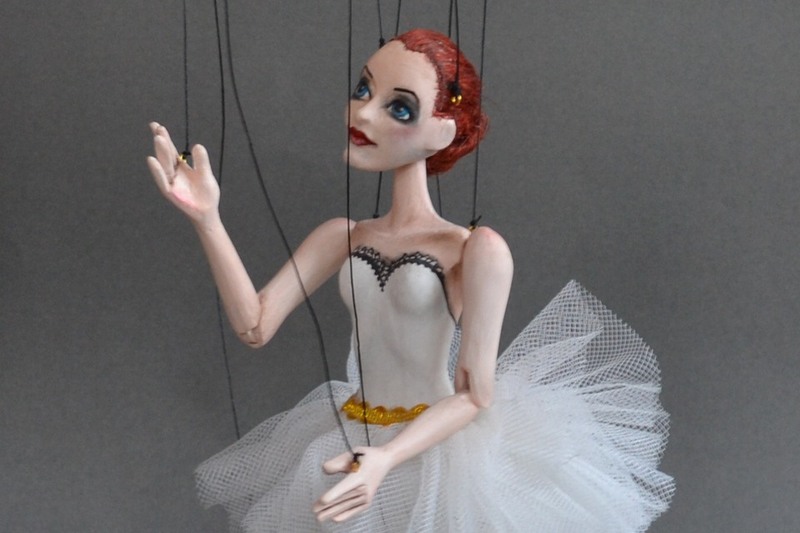 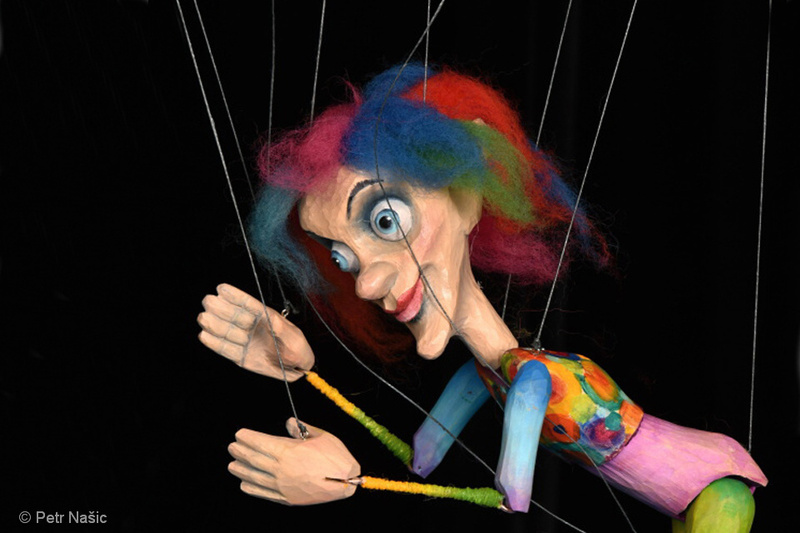 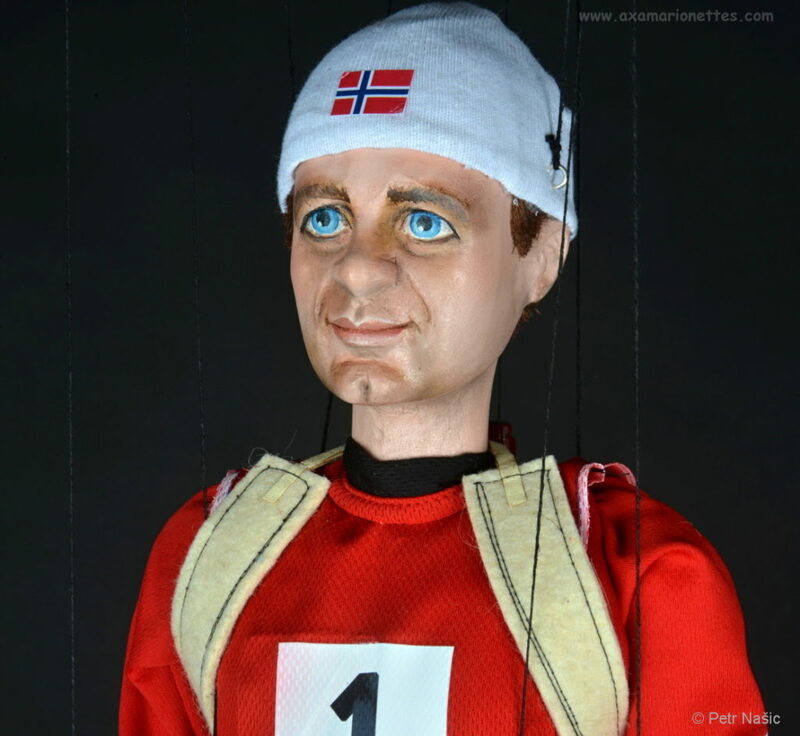 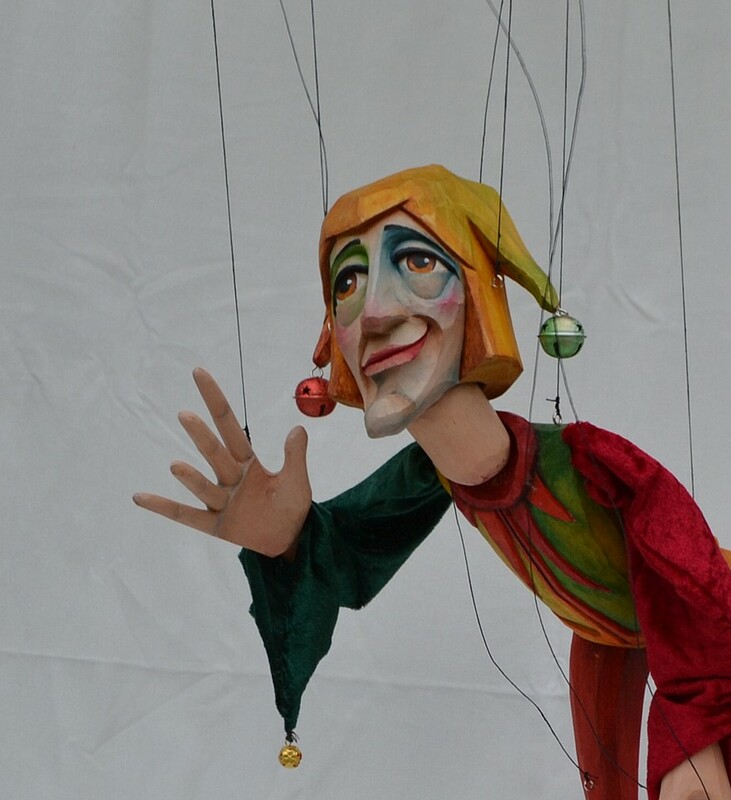 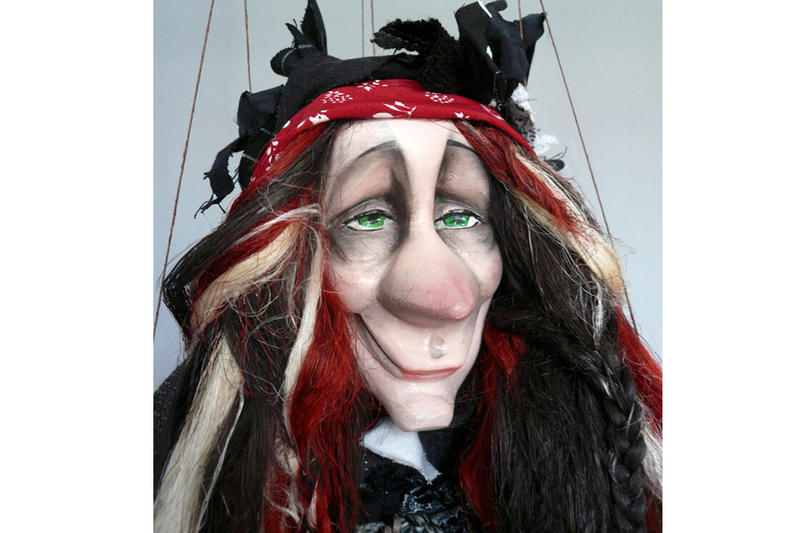 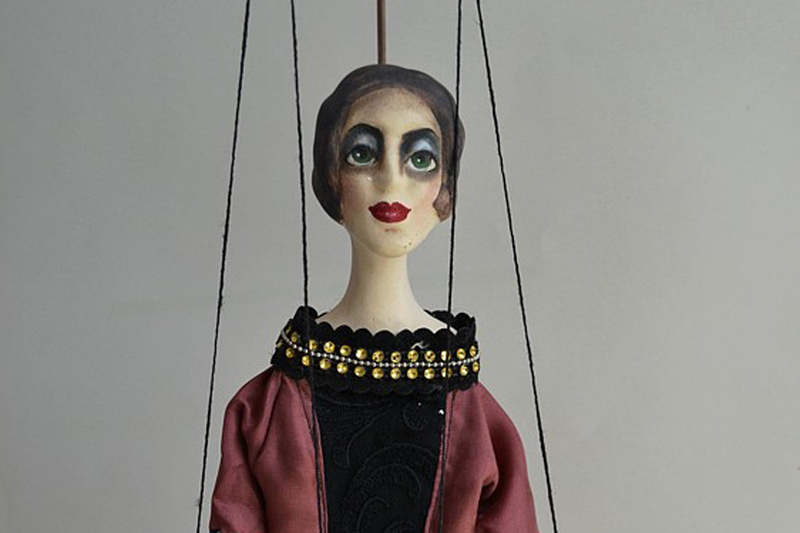 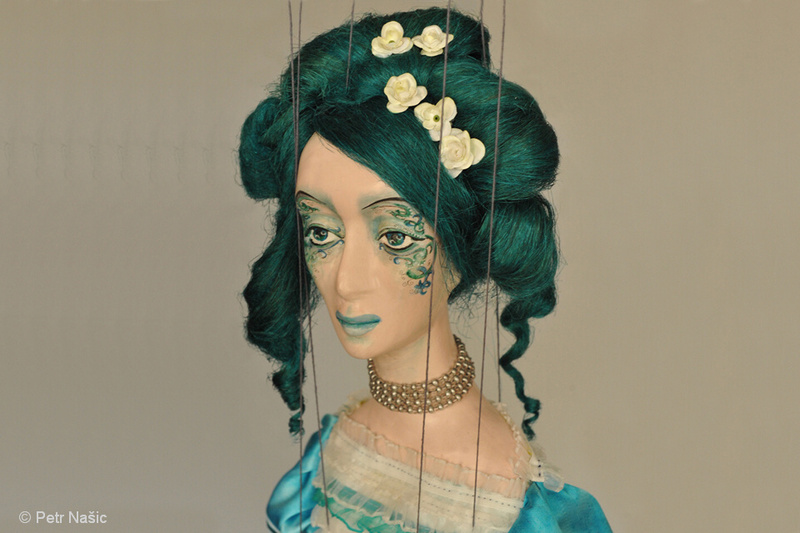 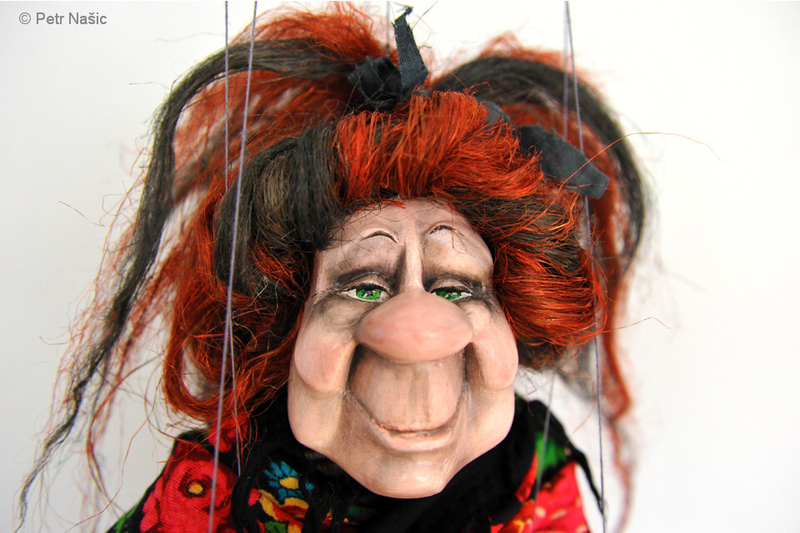 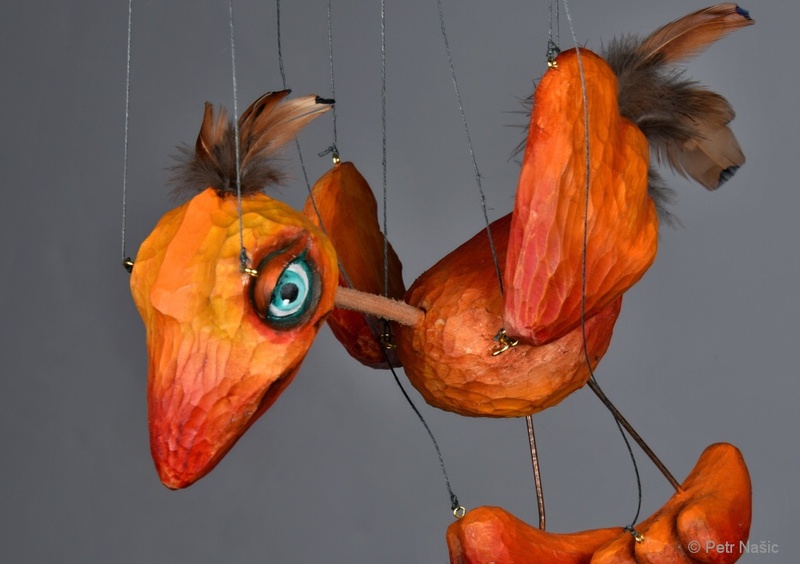 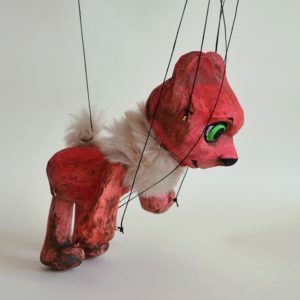 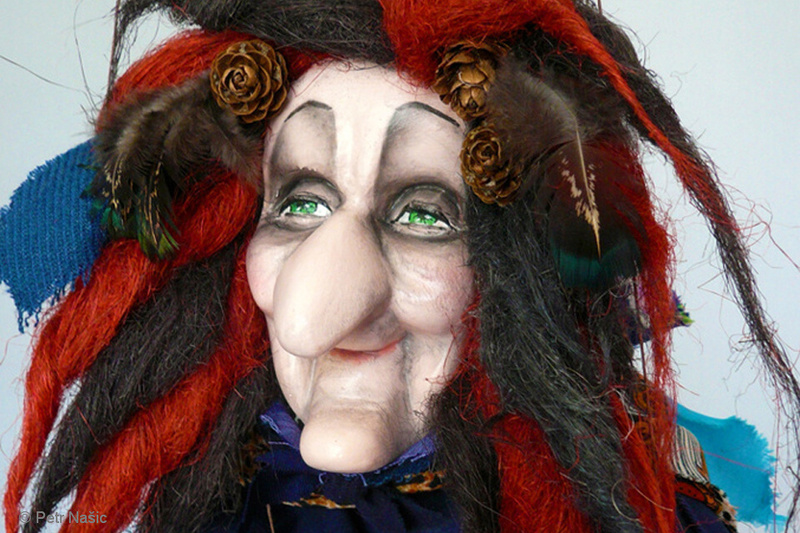 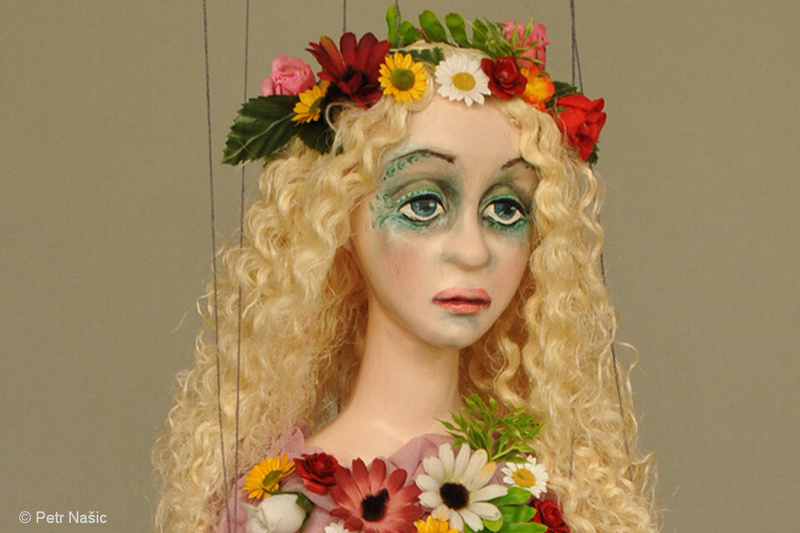 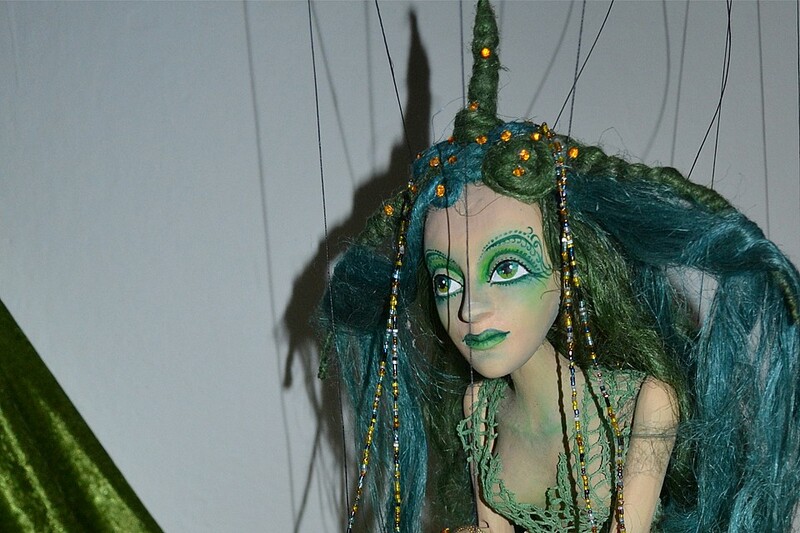 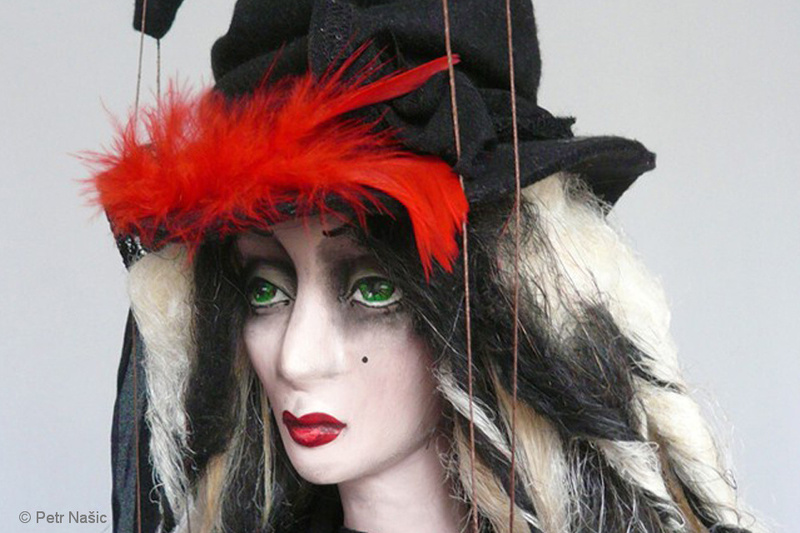 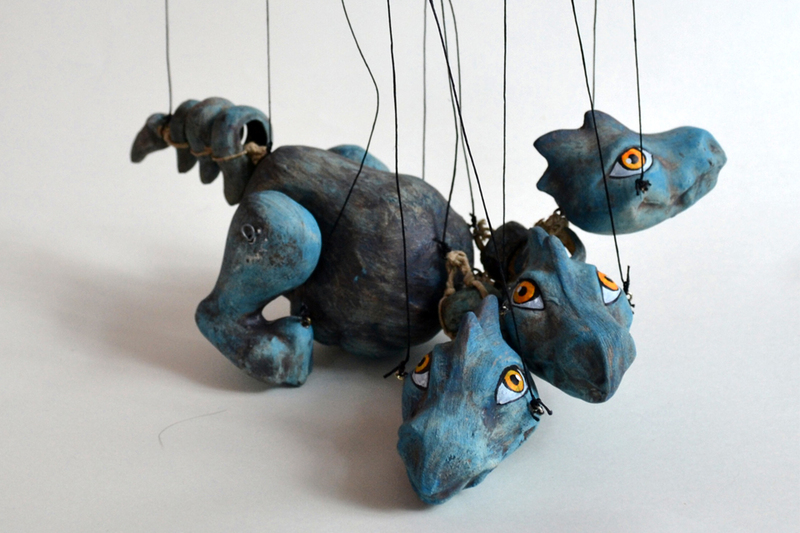 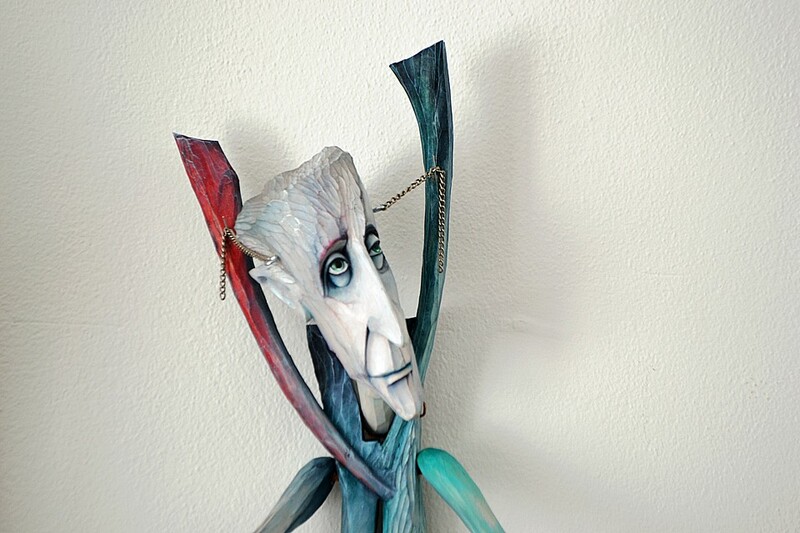 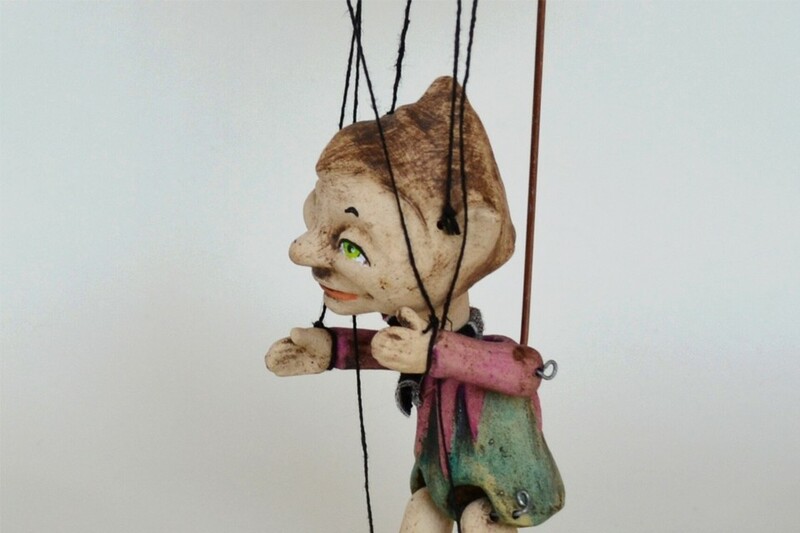 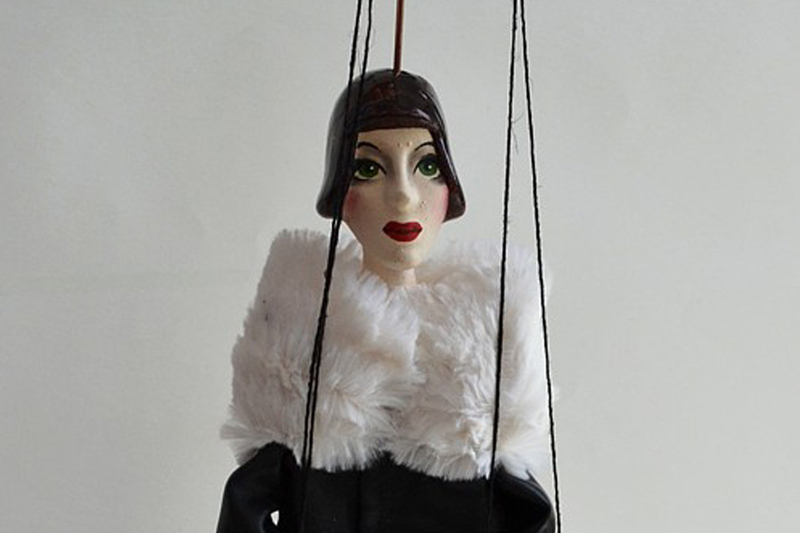 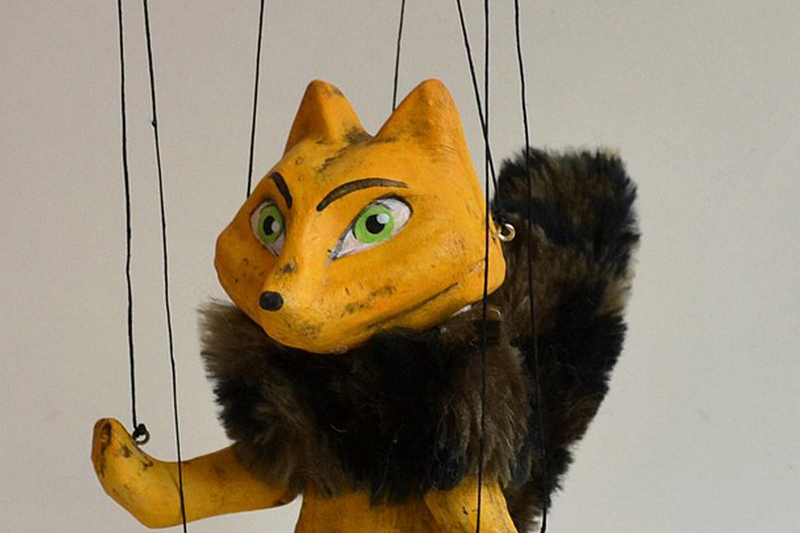 If you want to learn more about our marionettes, visit the gallery. 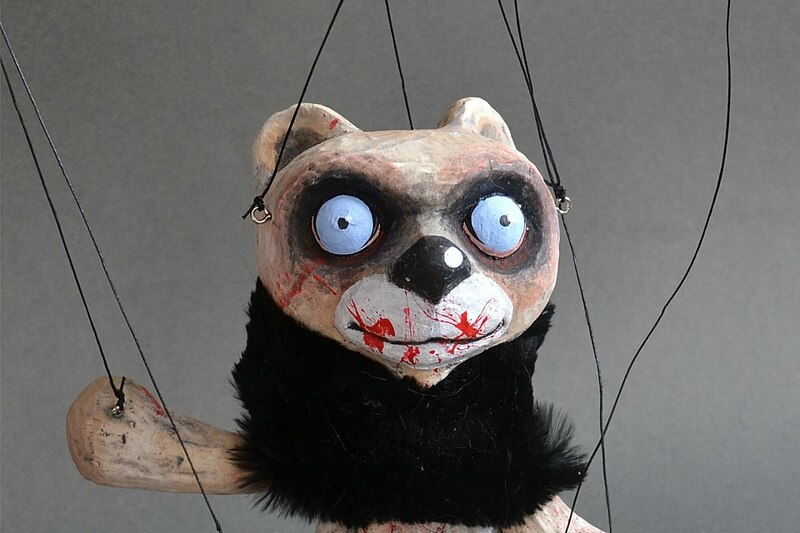 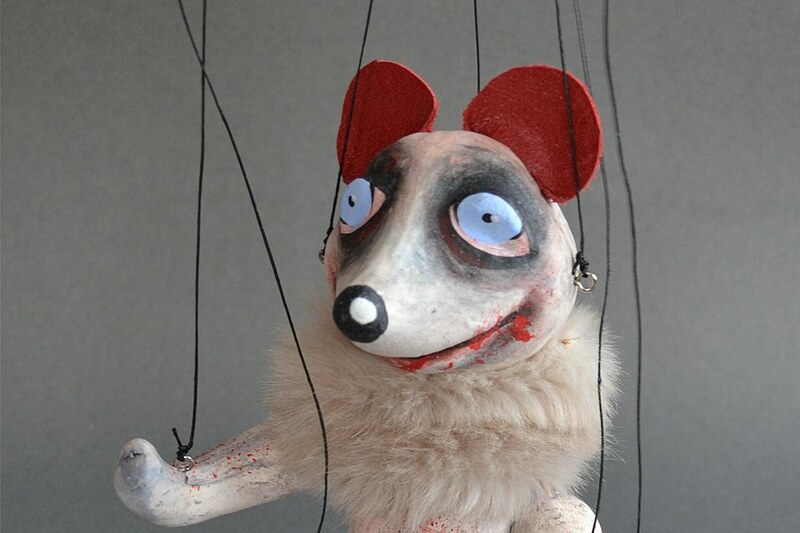 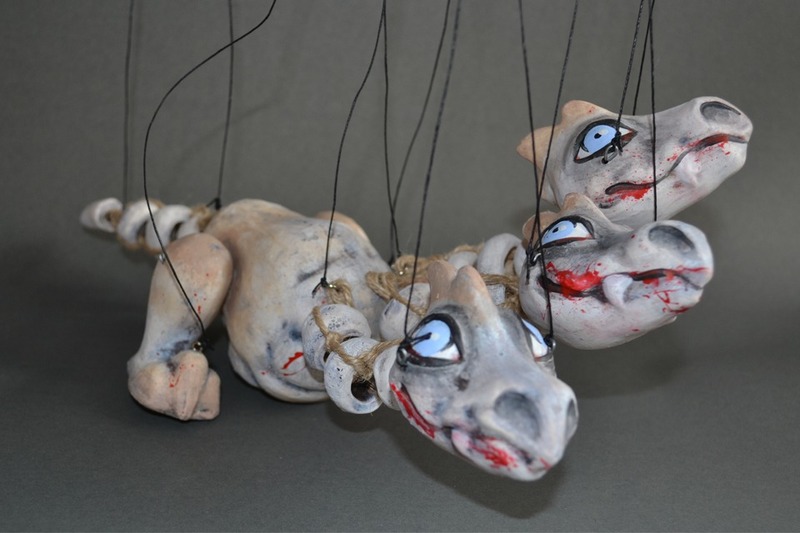 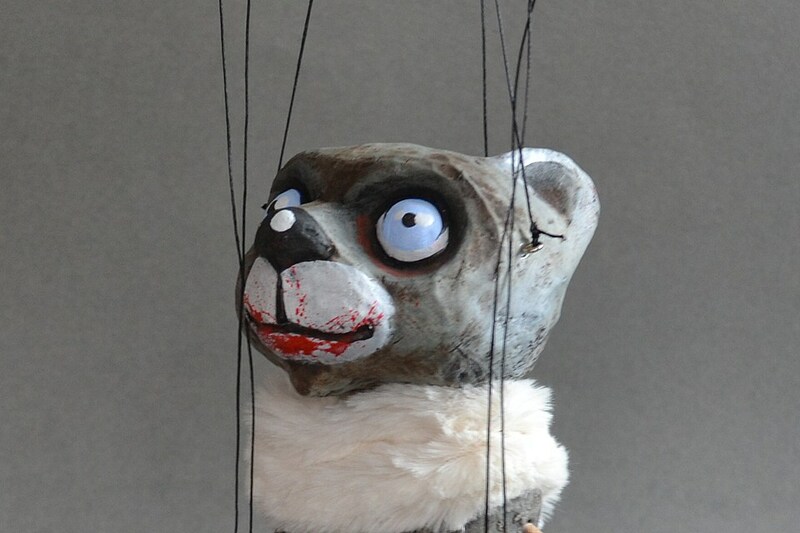 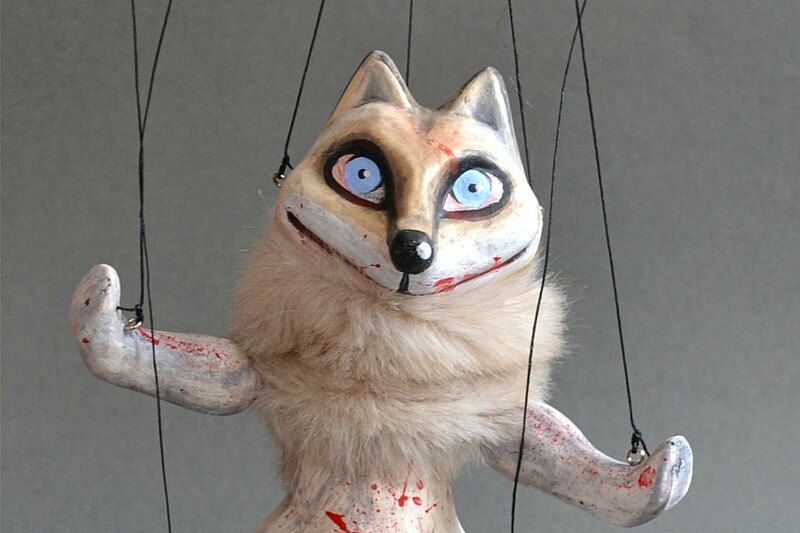 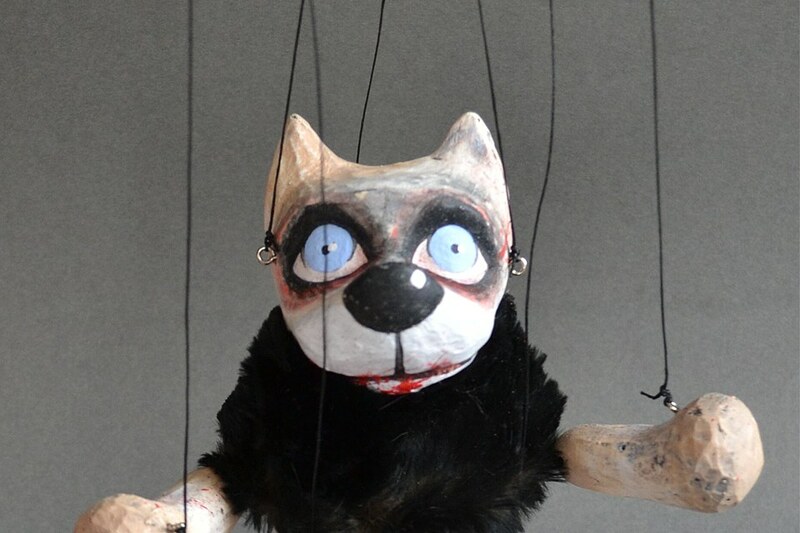 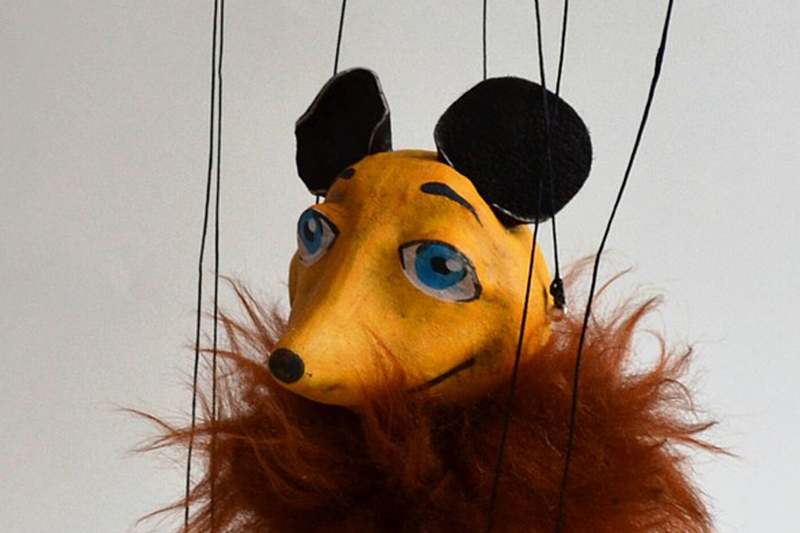 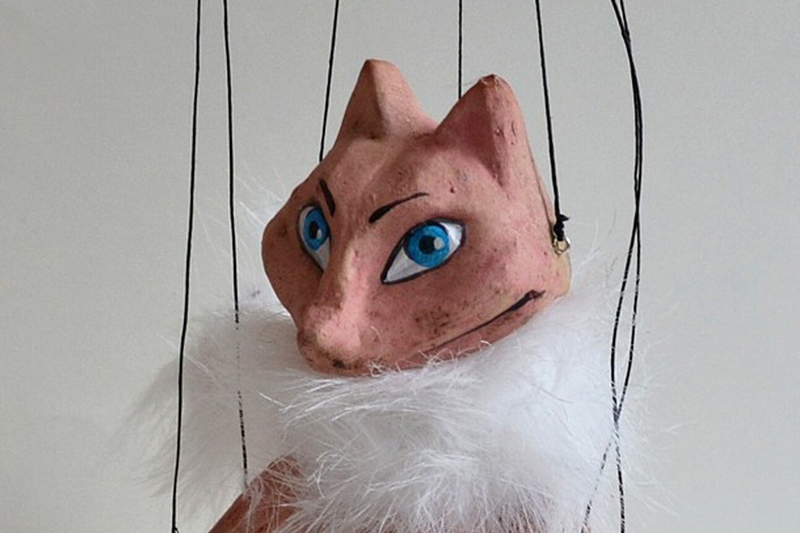 For any question about the puppets contact us using the contact form. 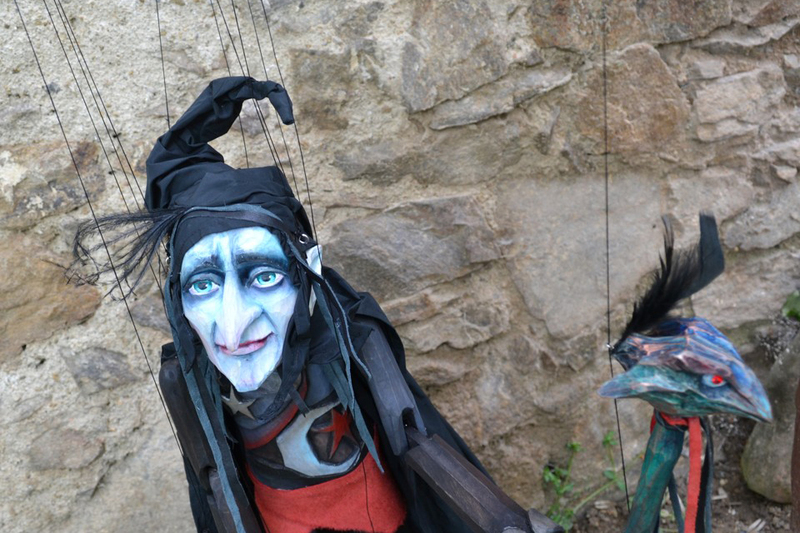 Puppetry and elements of puppet theatre probably appeared in the regions of Bohemia in medieval times as elements of religious ceremonies and folk customs. 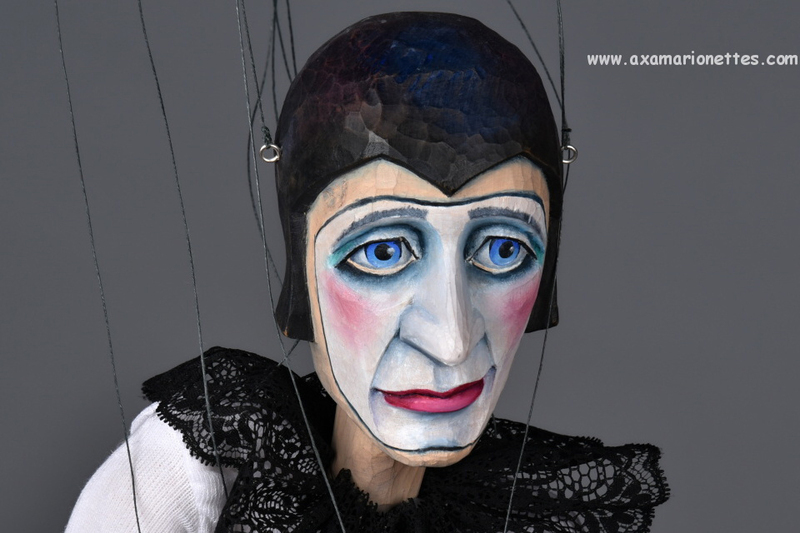 In the second half of the 18th century puppeteers of Czech nationality started performing throughout Bohemia, travelling with their puppets to smaller country towns and communities. 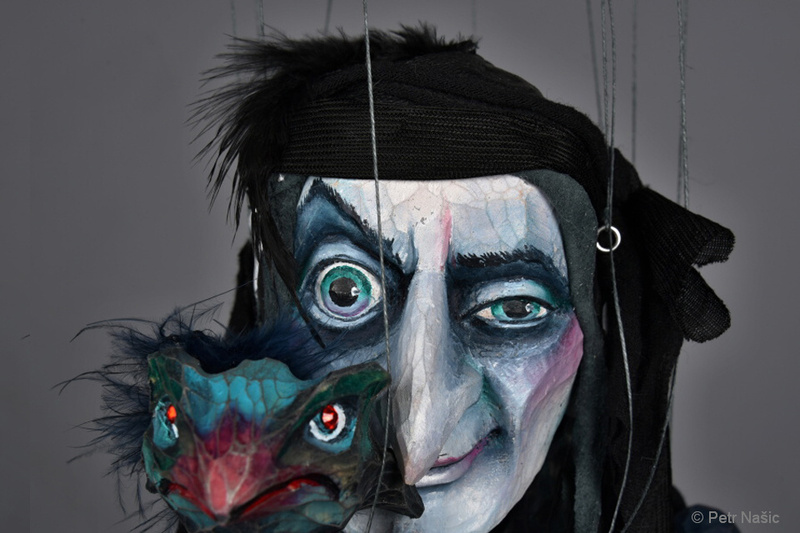 Gradually a tradition of puppeteering dynasties arose, puppetry was passed from generation to generation as a family craft. 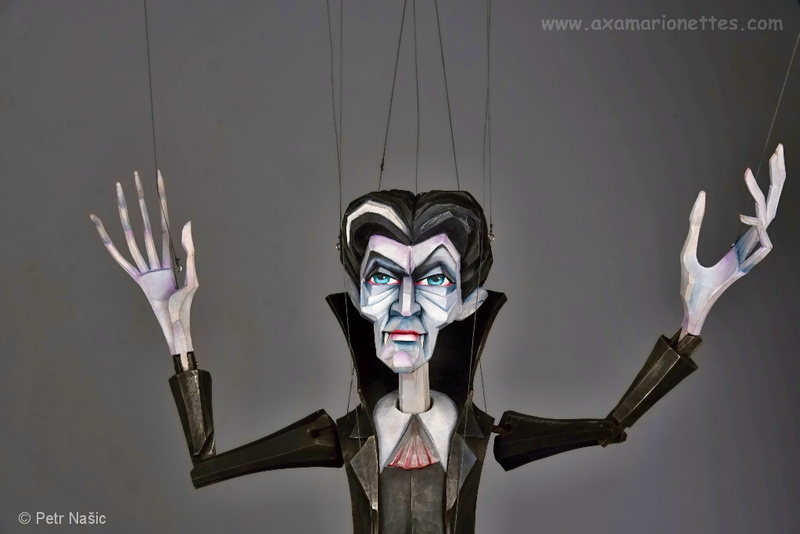 The puppeteer himself controlled all the puppets and voiced all the characters. 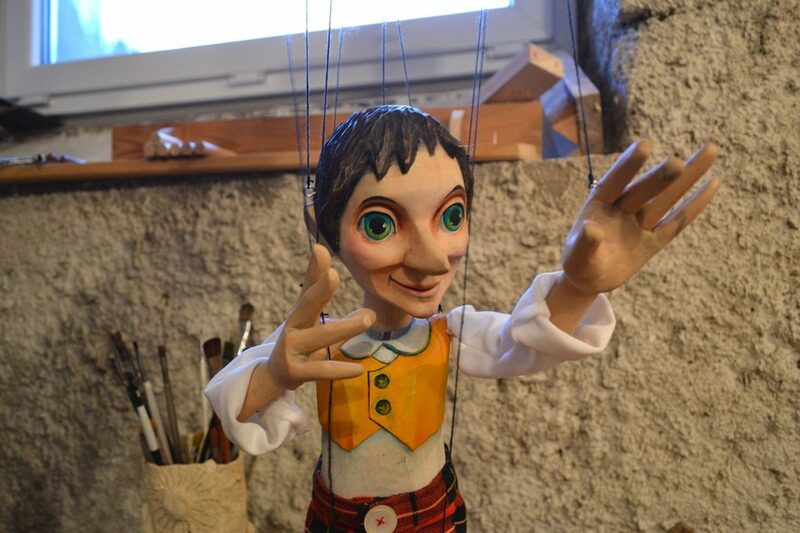 In the second half of the 19th century a form of puppet theatre had developed in the cities, mainly in Prague. 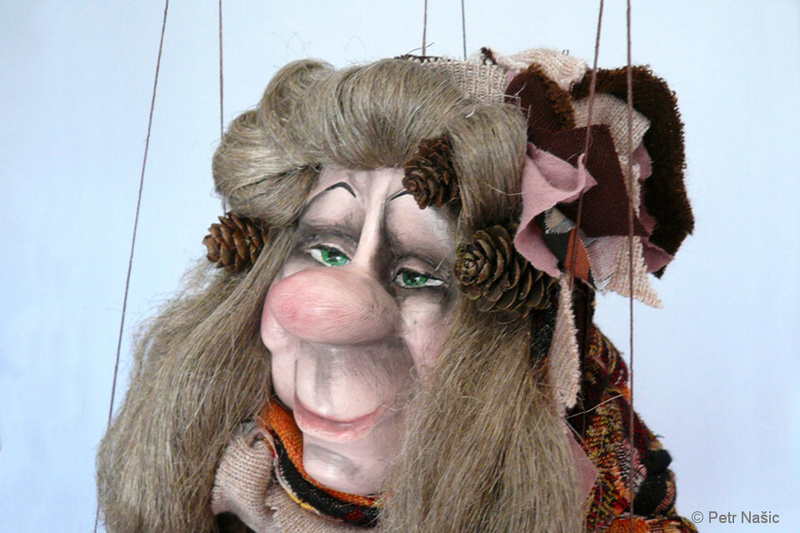 Performing with puppets on small home stages in the so-called “family theatres” became a widespread custom. 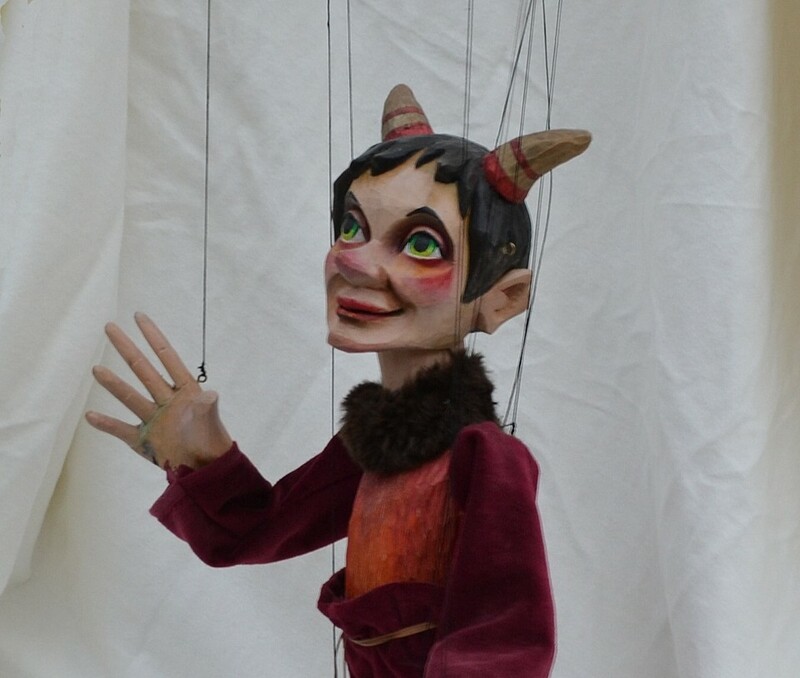 Many of these family theatres rose to a remarkable level and became the basis of amateur public performances. 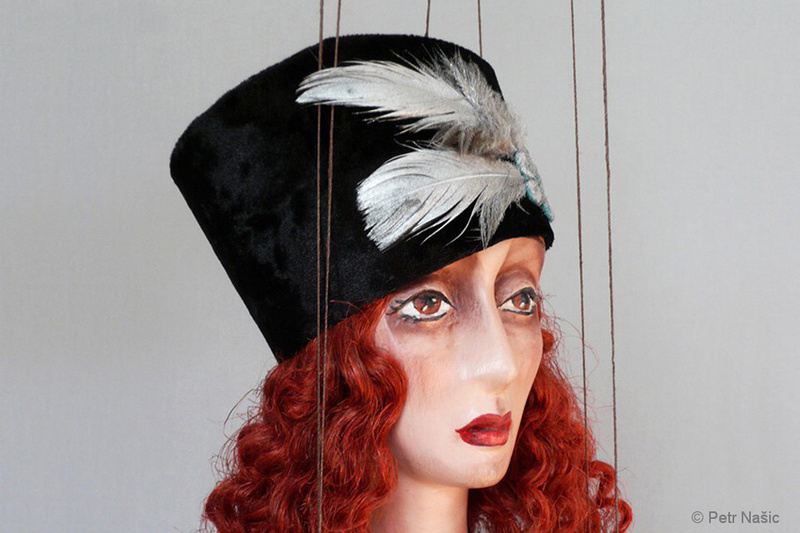 As a result, the amateur movement grew in Bohemia at the end of the 19th century. 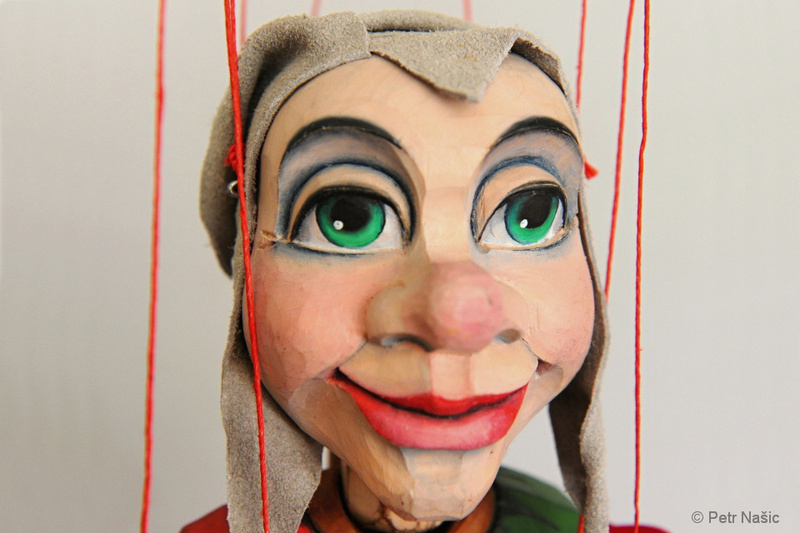 Puppet theatres in schools and various associations took up puppetry as a form appropriate for both entertainment and education.